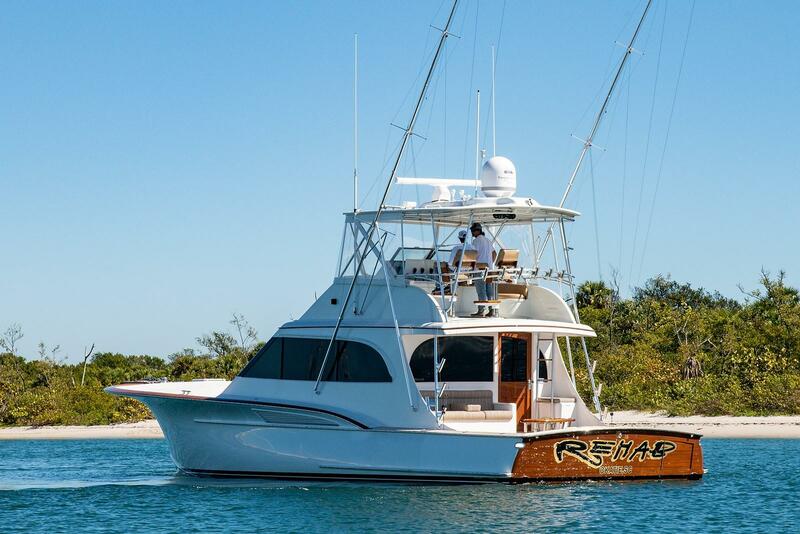 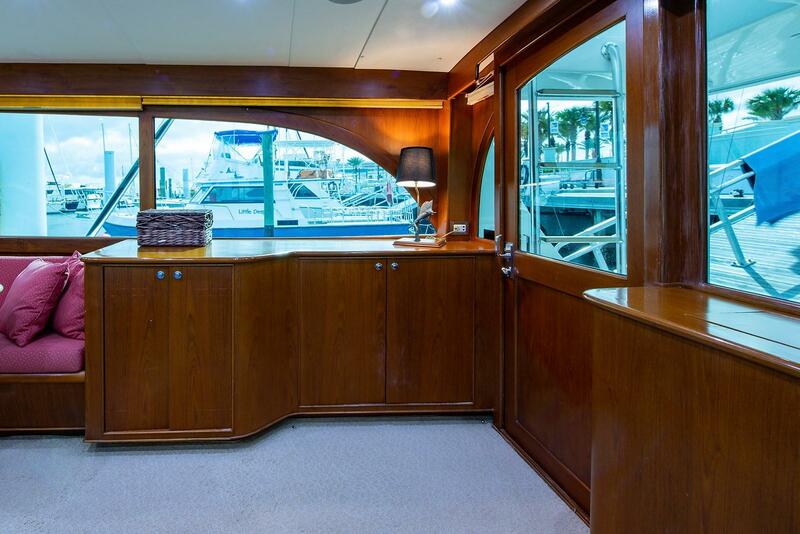 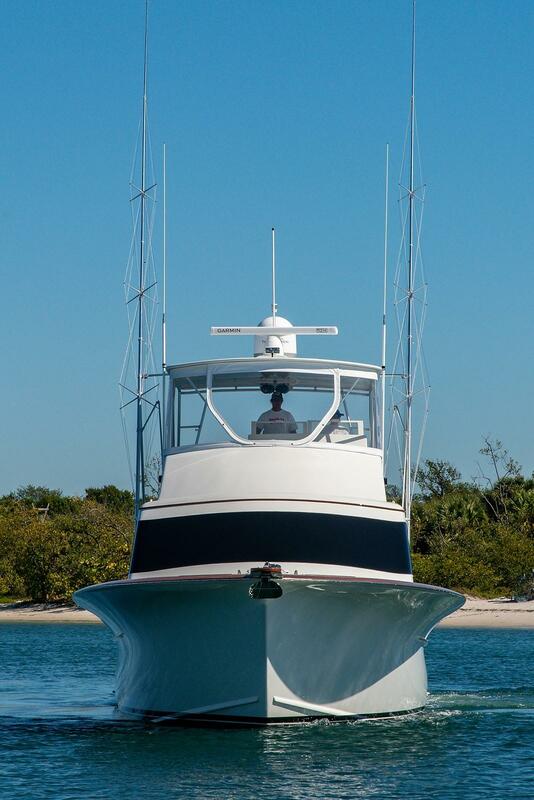 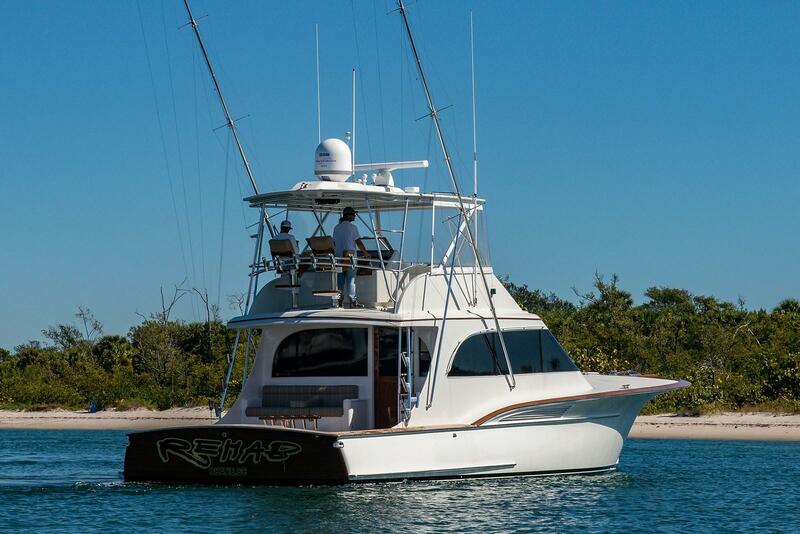 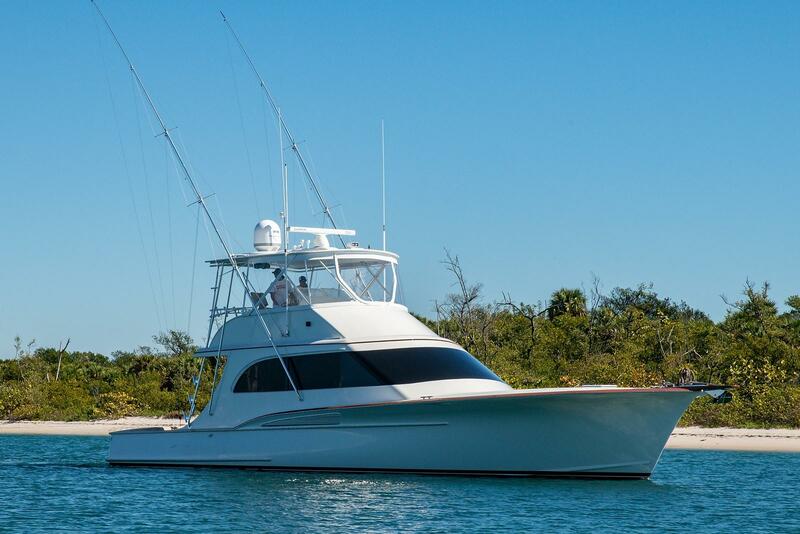 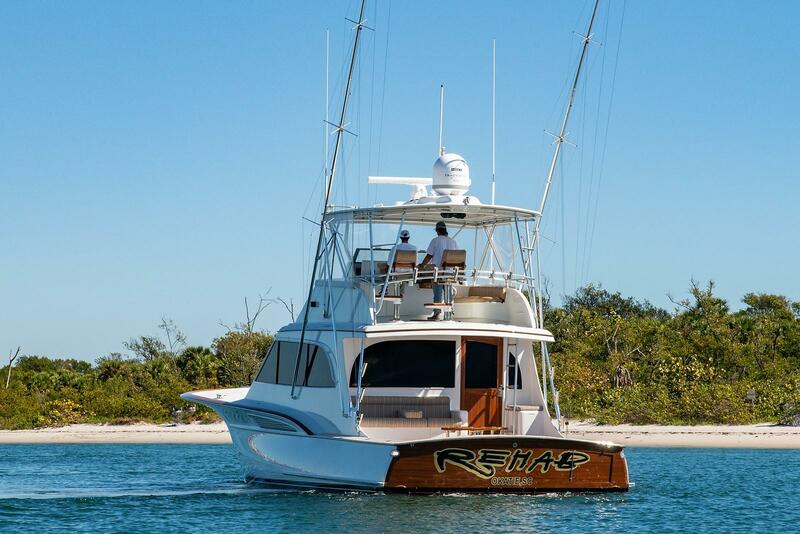 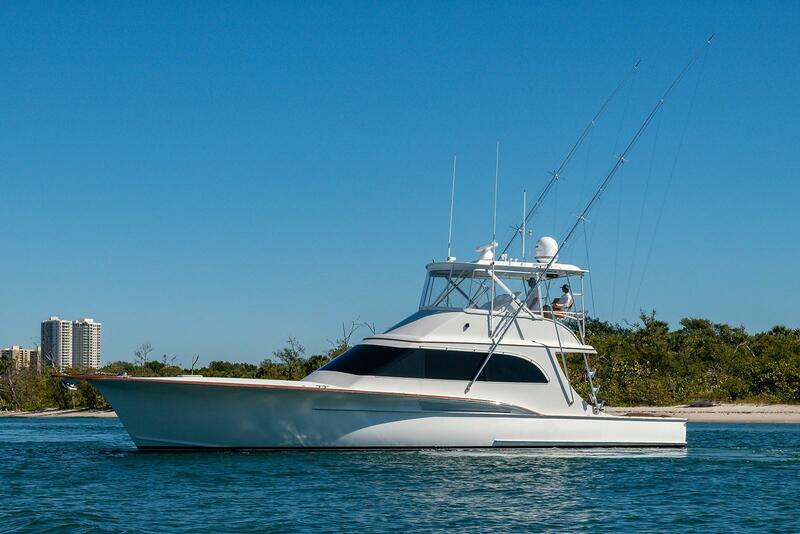 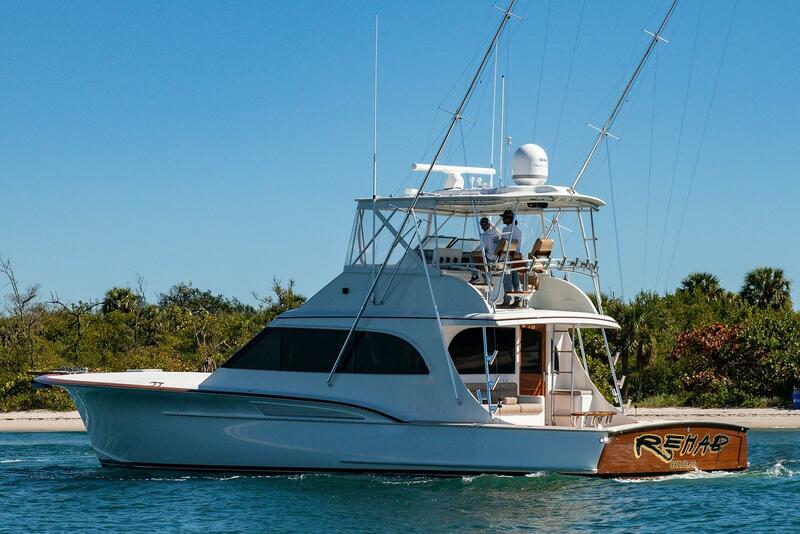 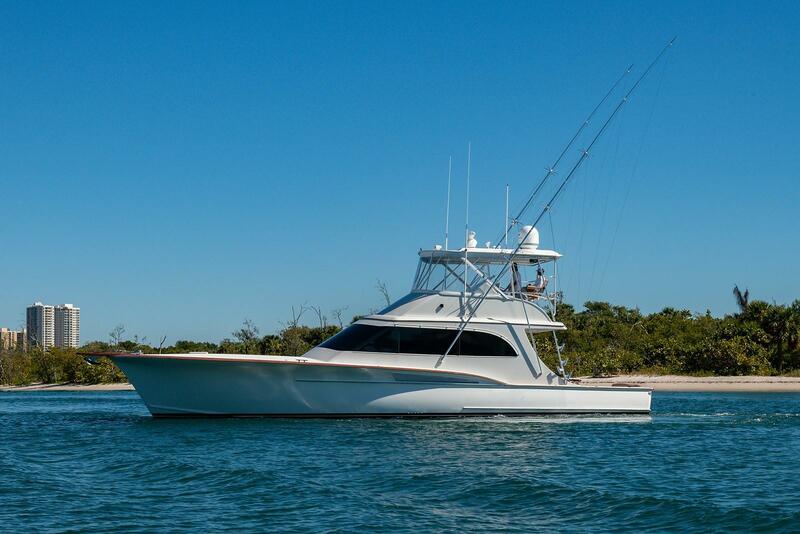 2001 Jarrett Bay 55' Custom Carolina "Rehab"
This 2001 55' JARRETT BAY CUSTOM CAROLINA "REHAB" is a Captain maintained vessel with a knowledgeable owner. 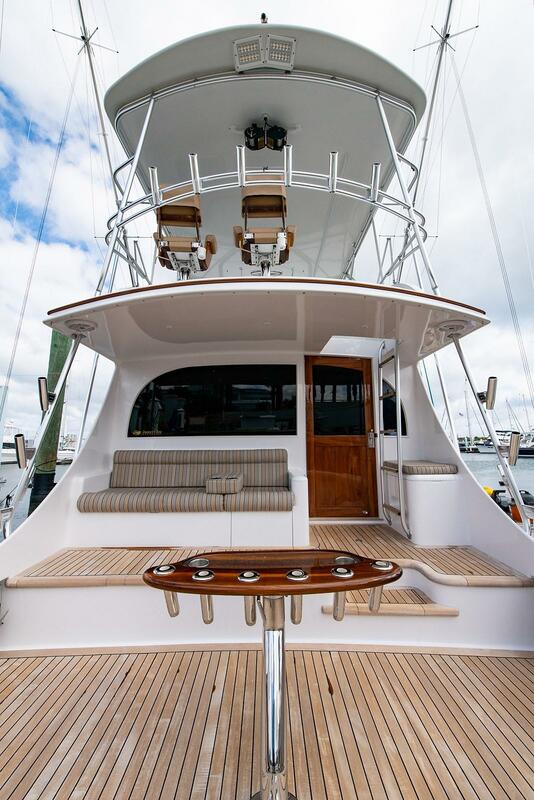 She had a refit in 2016-17 at Bluewater's Wanchese Yard. 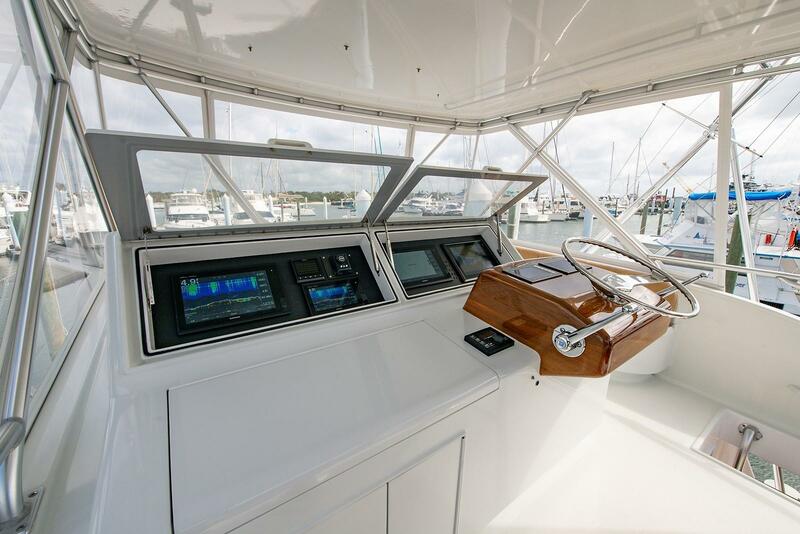 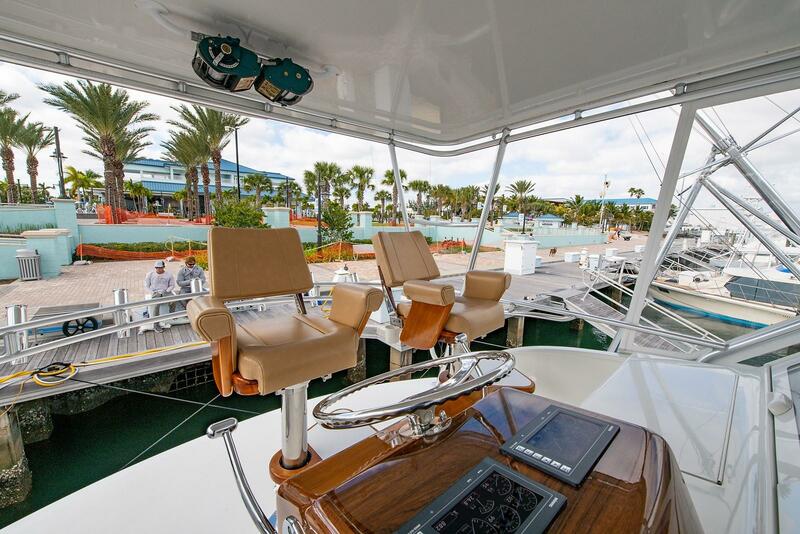 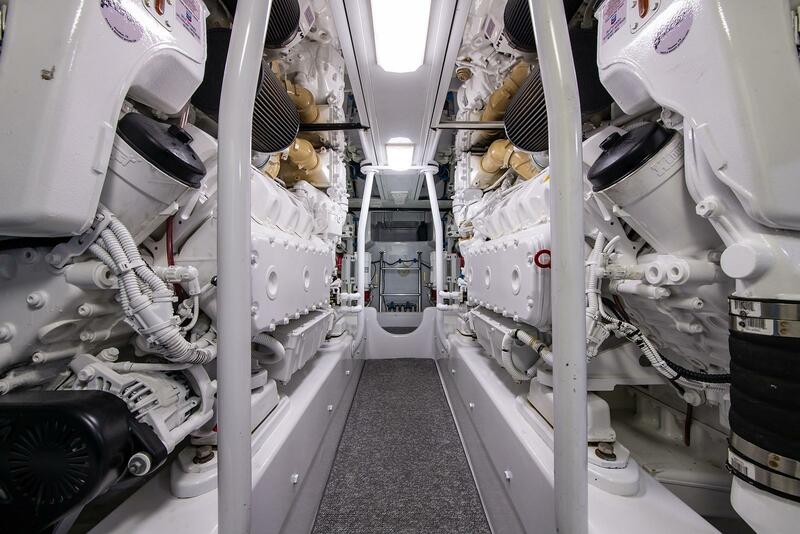 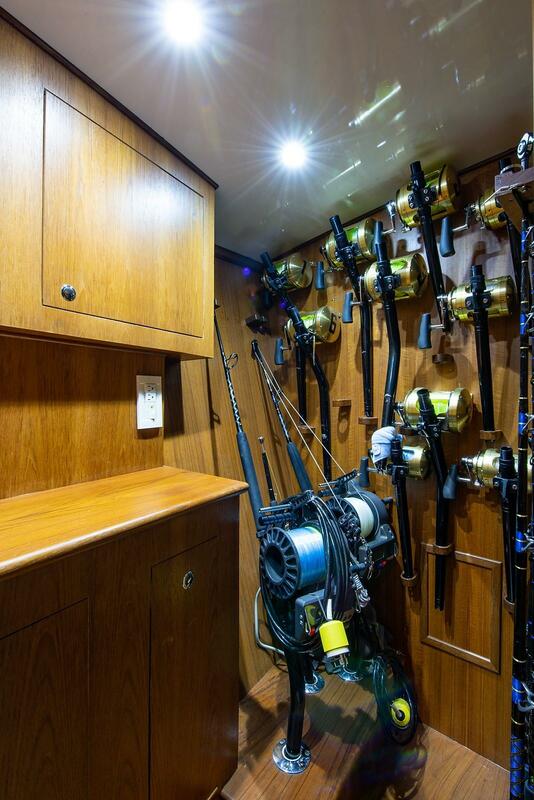 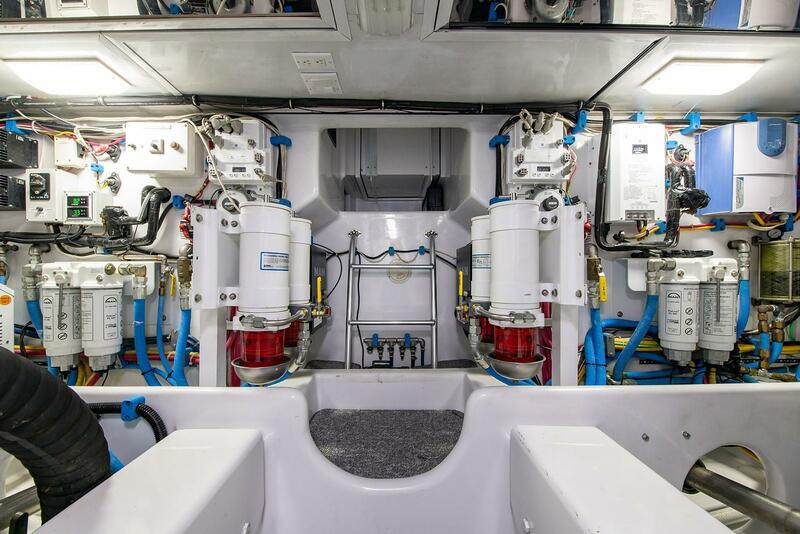 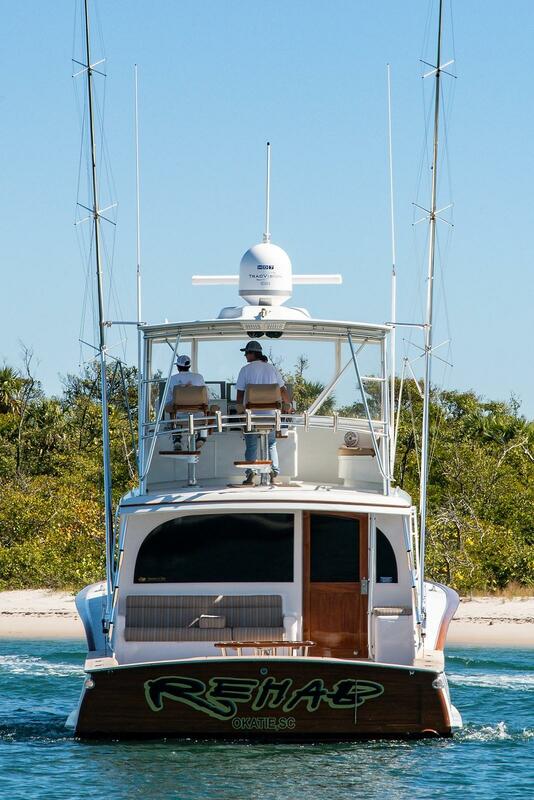 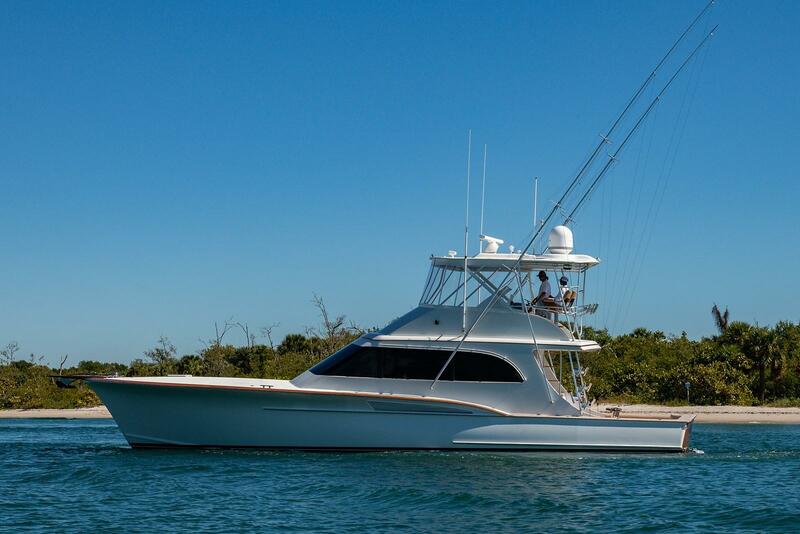 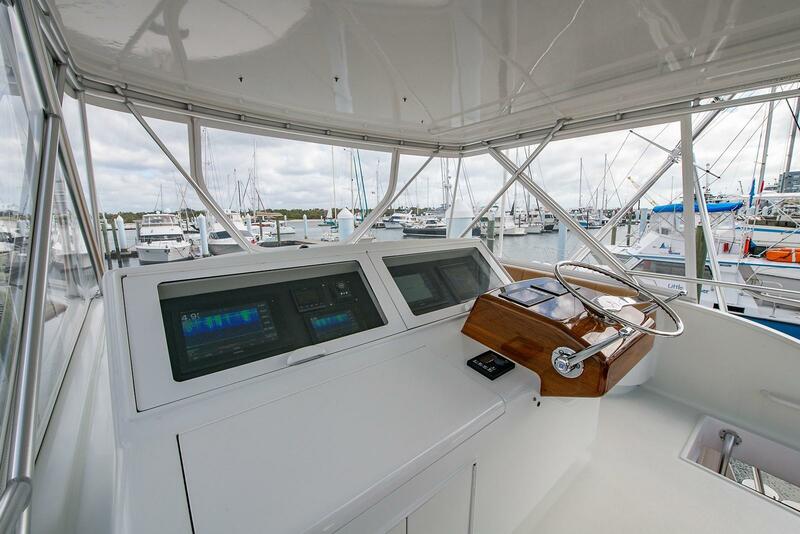 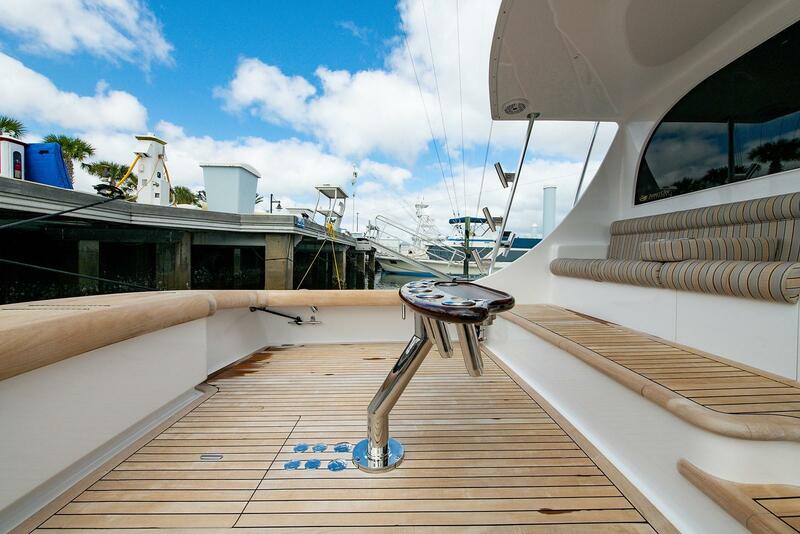 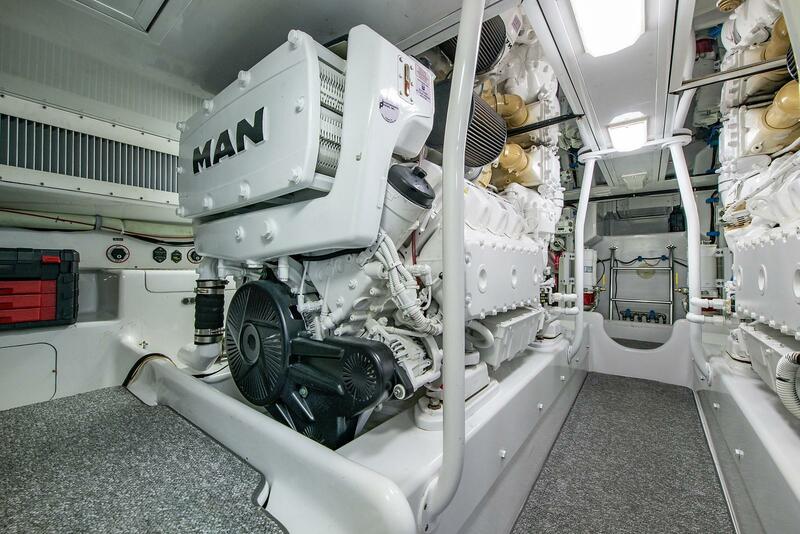 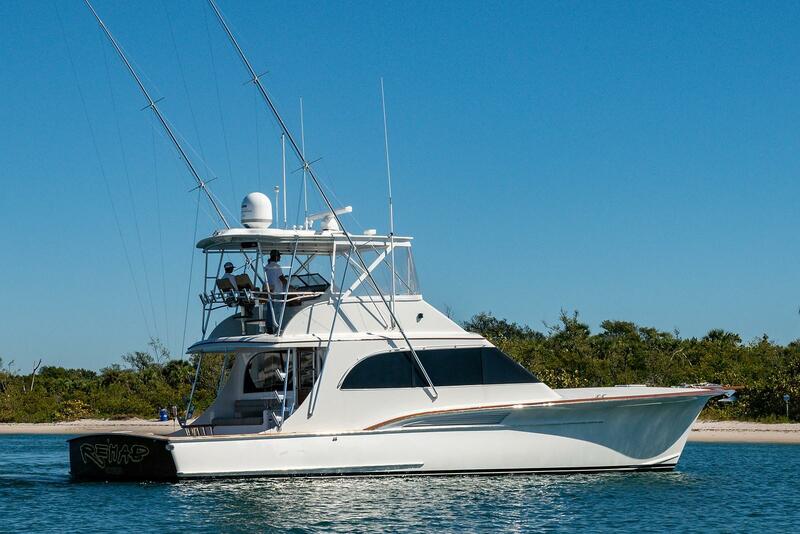 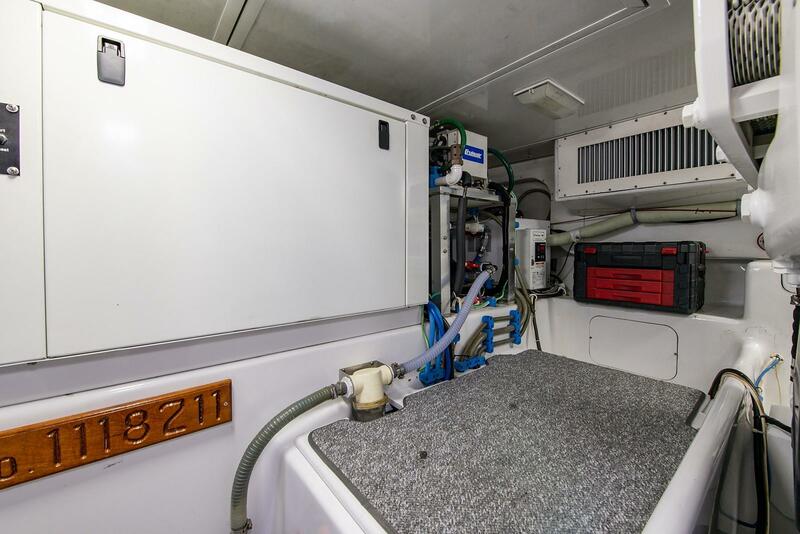 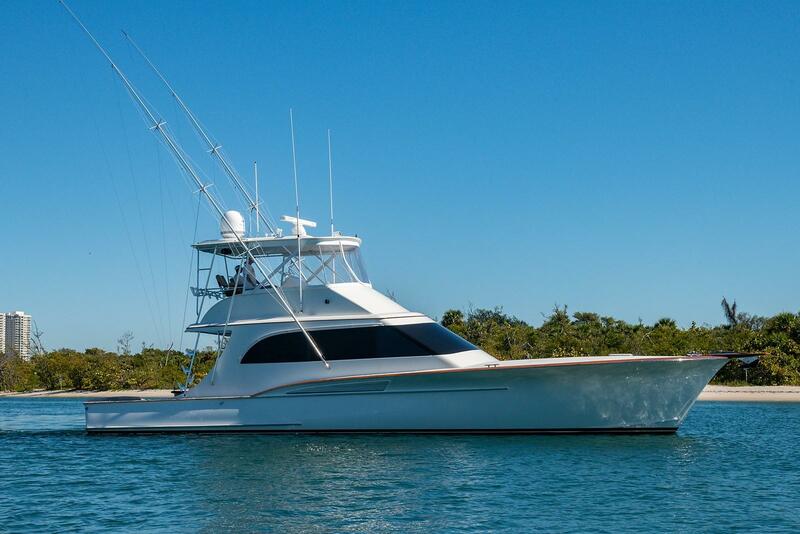 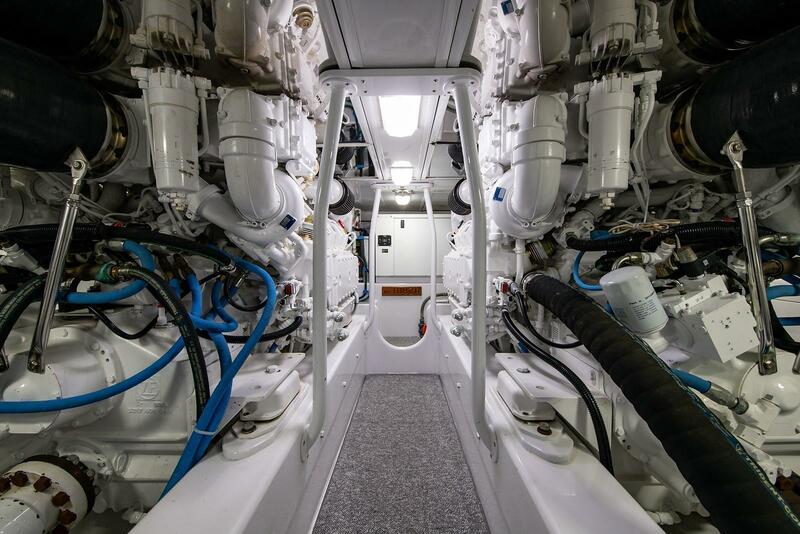 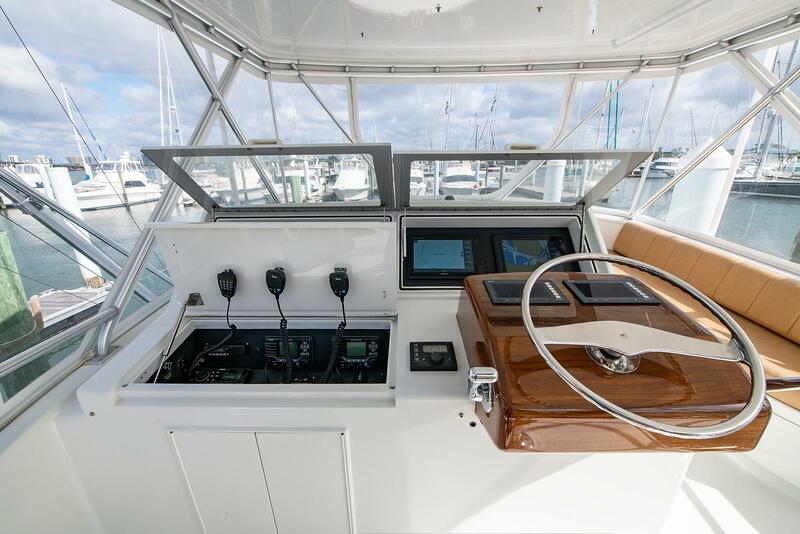 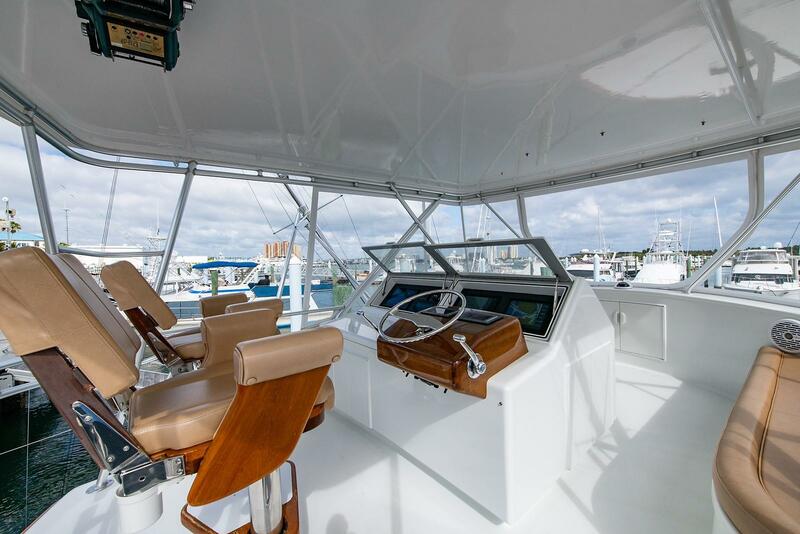 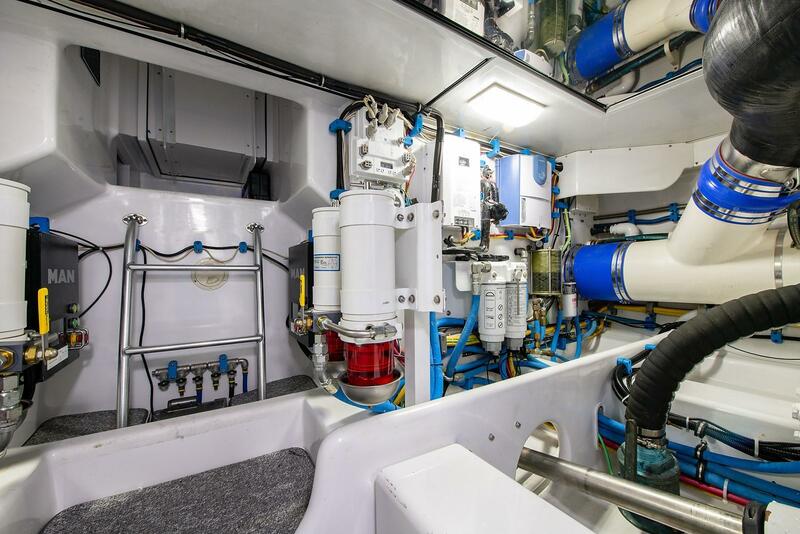 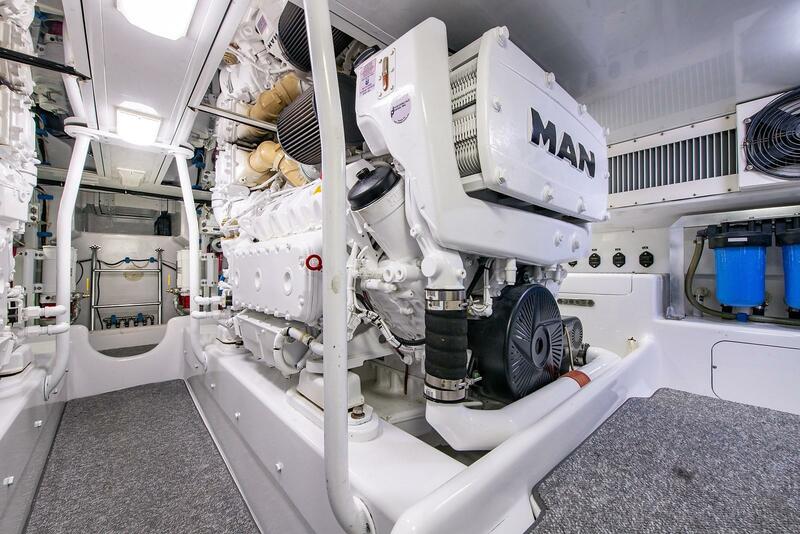 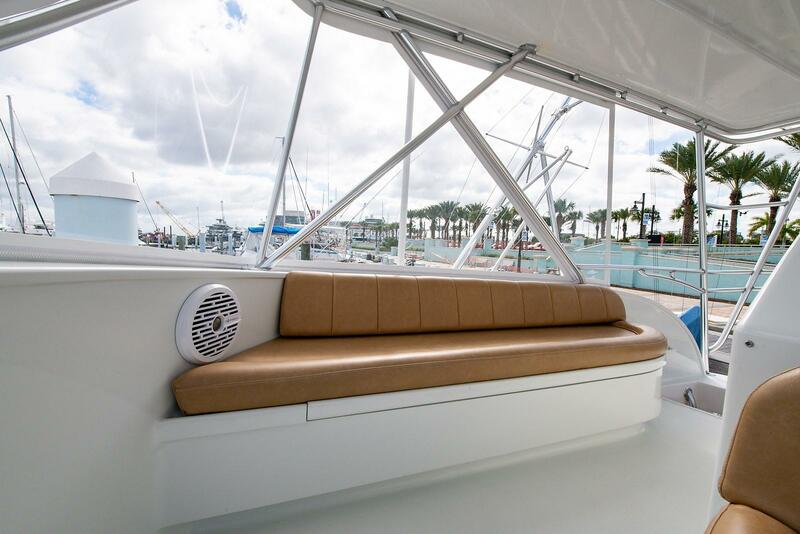 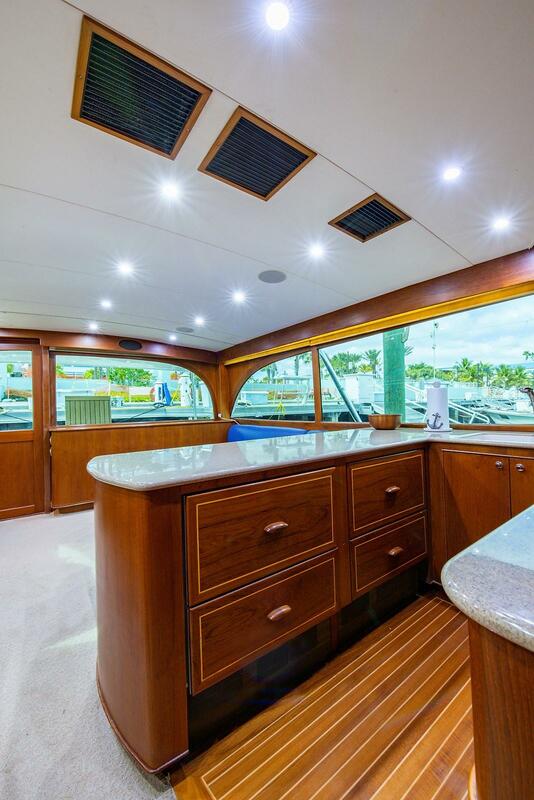 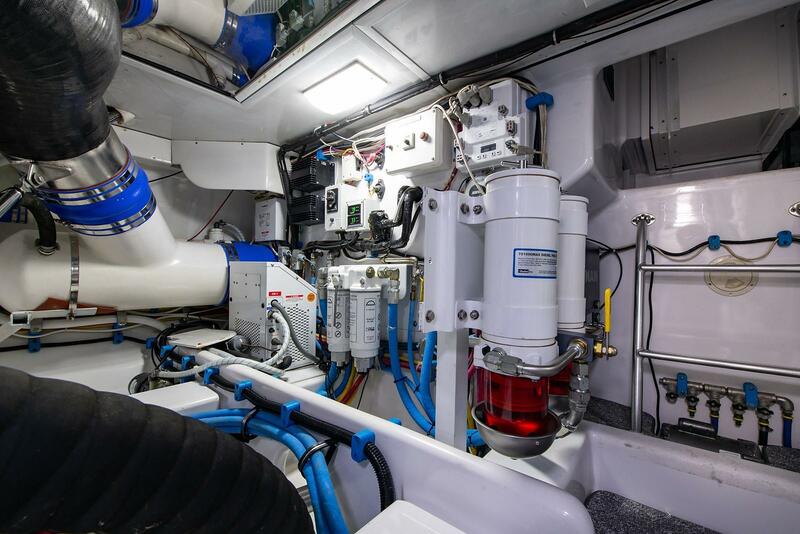 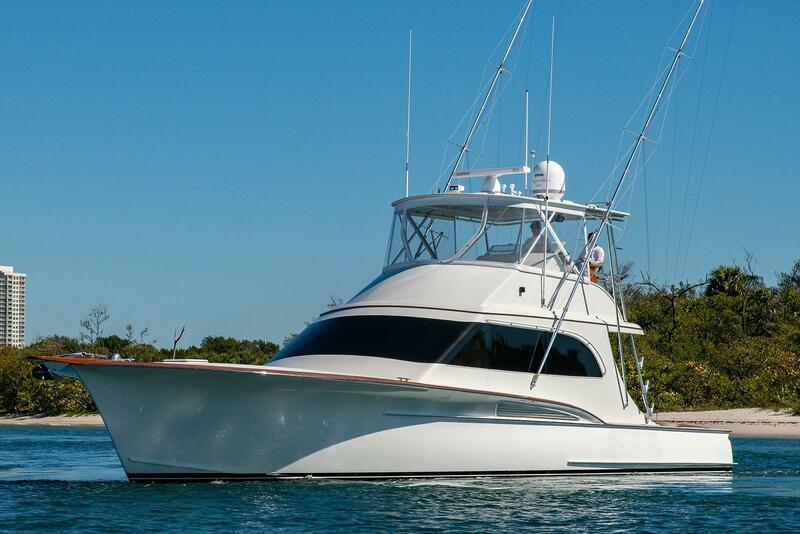 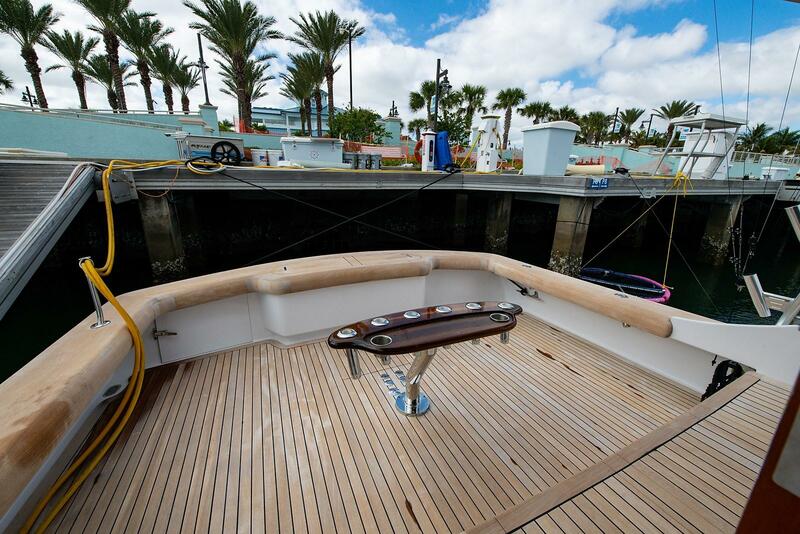 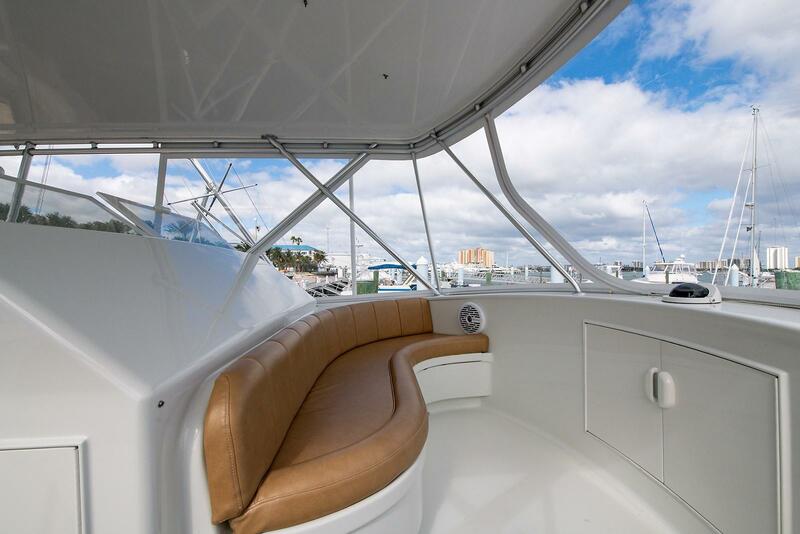 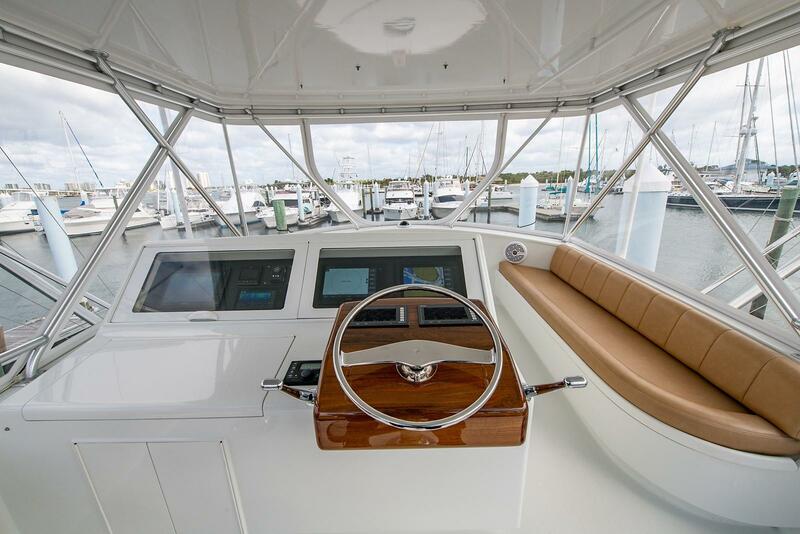 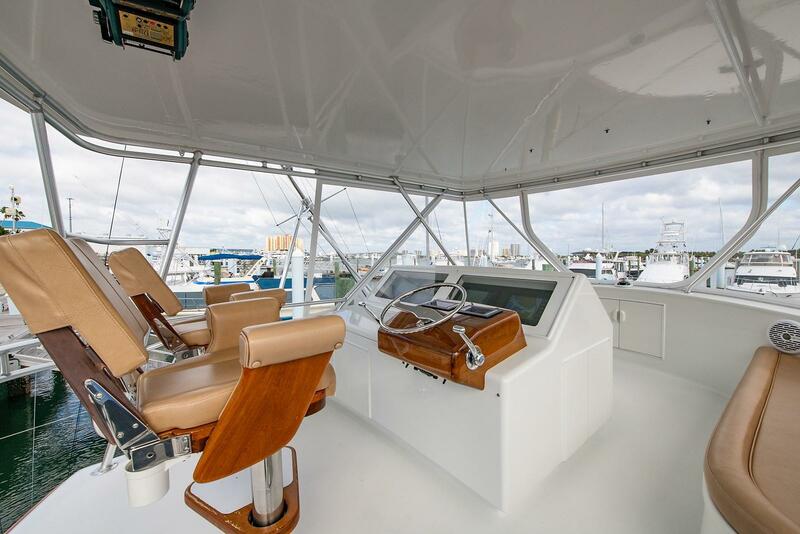 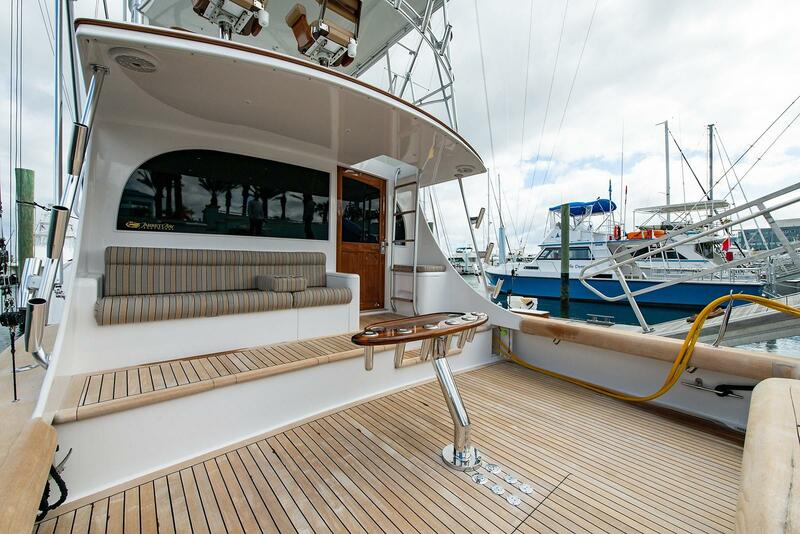 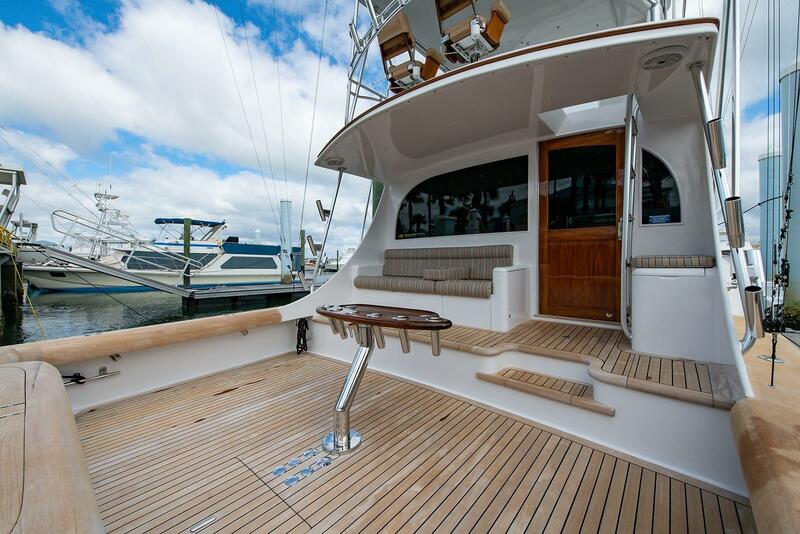 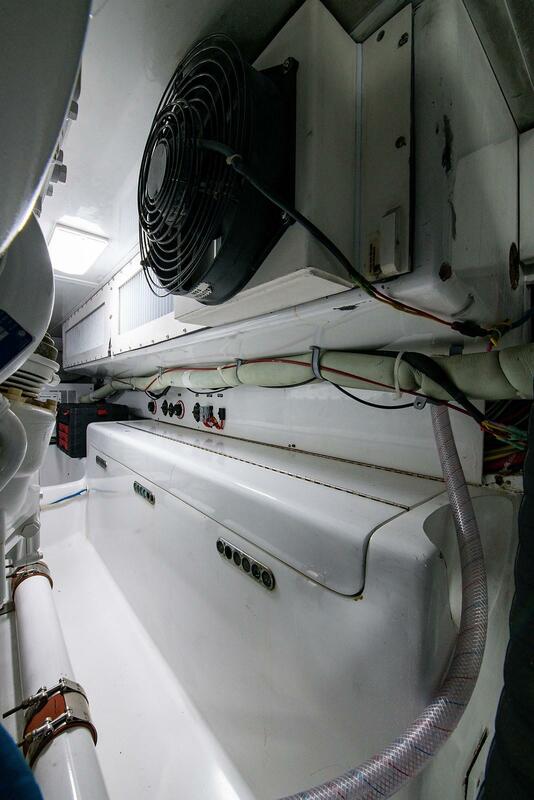 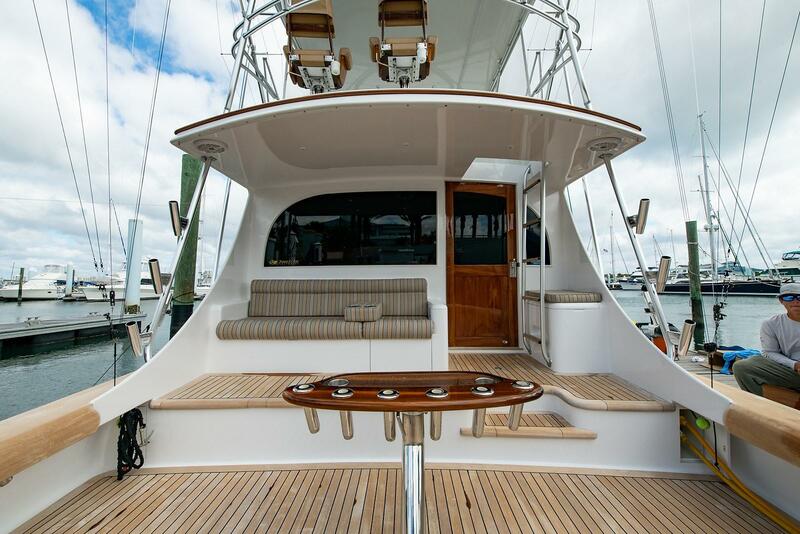 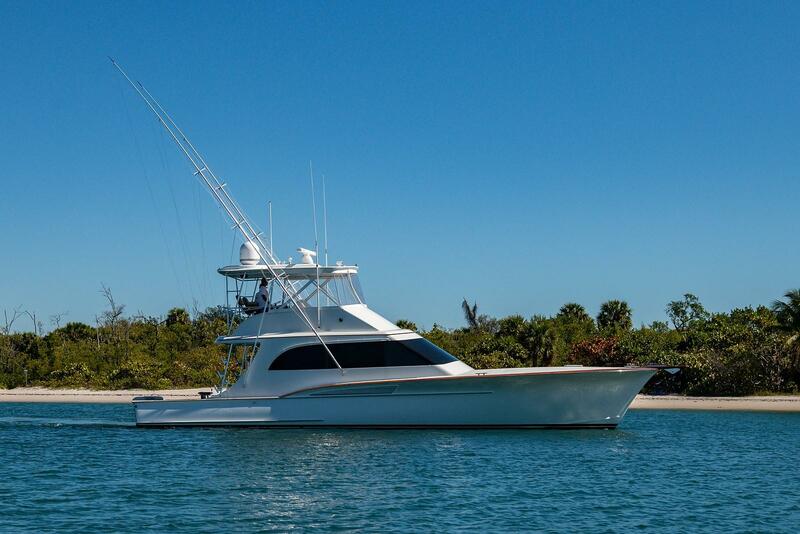 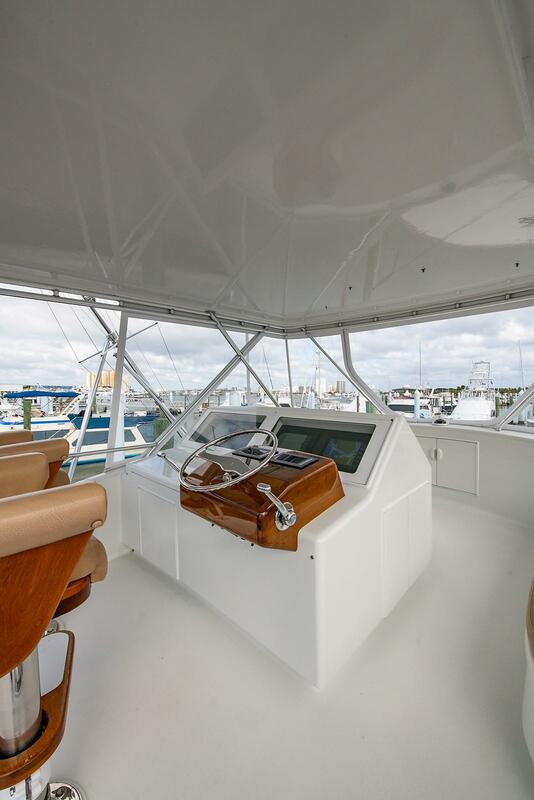 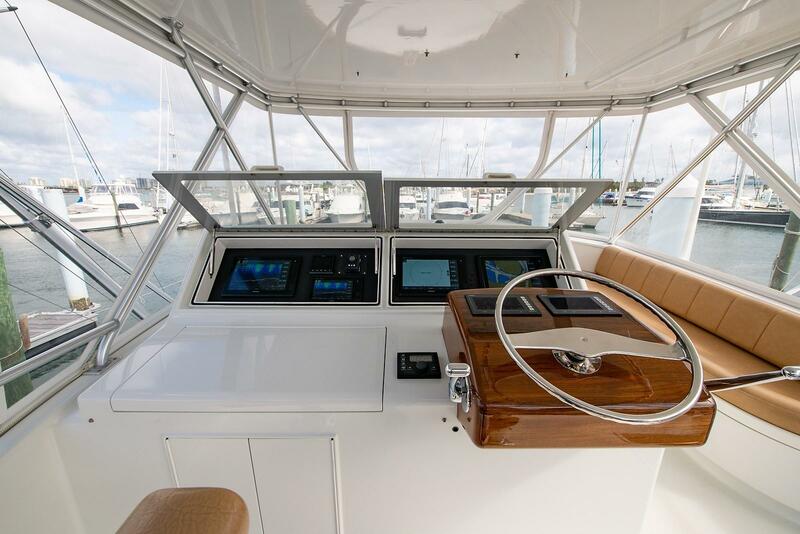 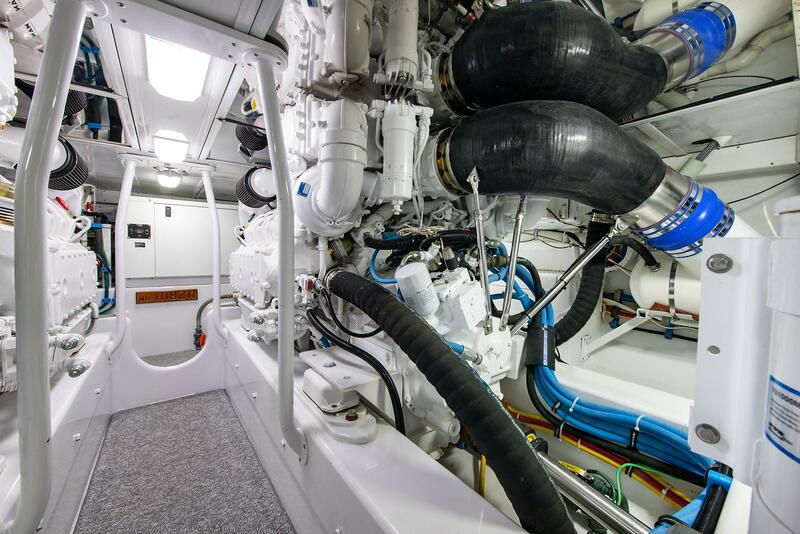 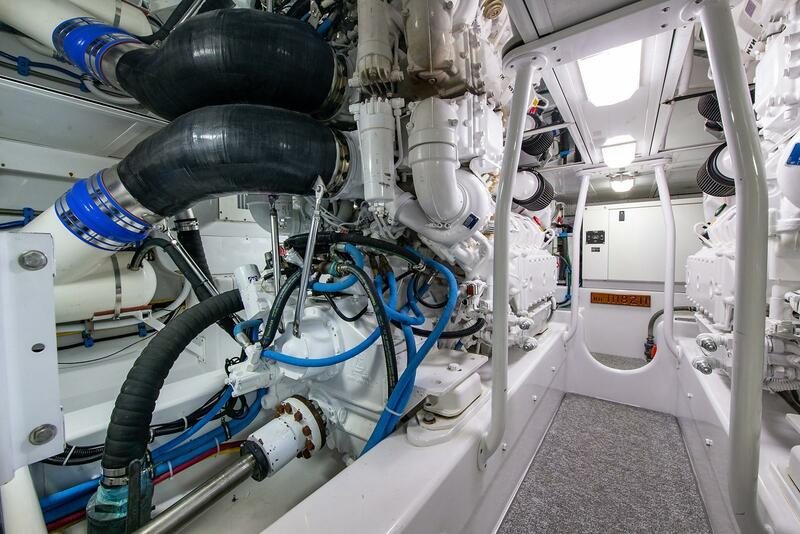 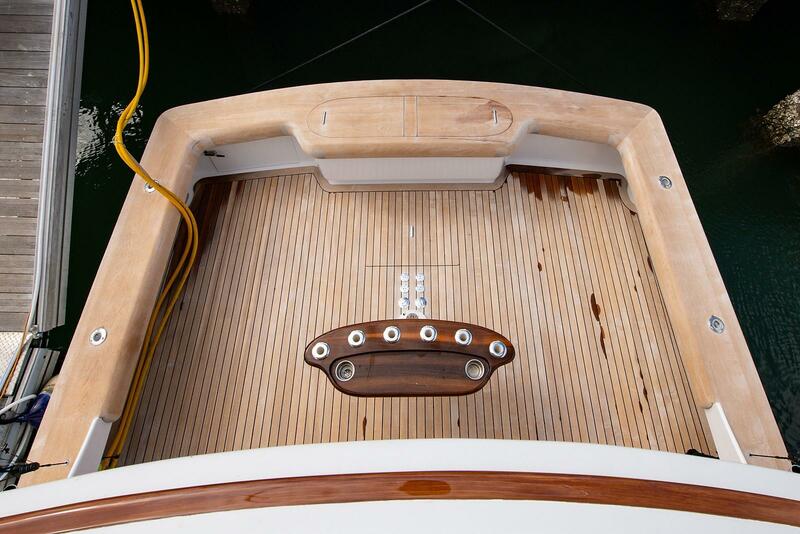 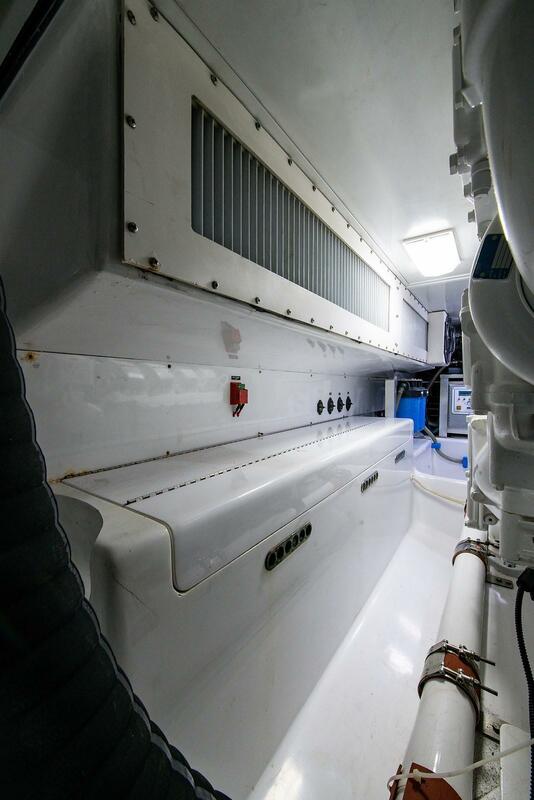 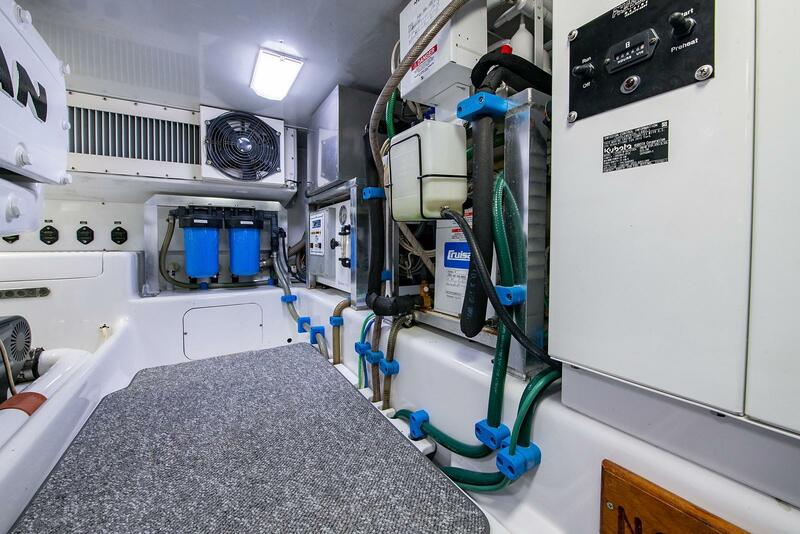 They did an incredible job installing new V8 1200hp Common Rail MANs and ZF transmissions, New mezzanine, New generator, New teak cockpit and covering boards and New Garmin Electronics on this 55' CUSTOM CAROLINA. 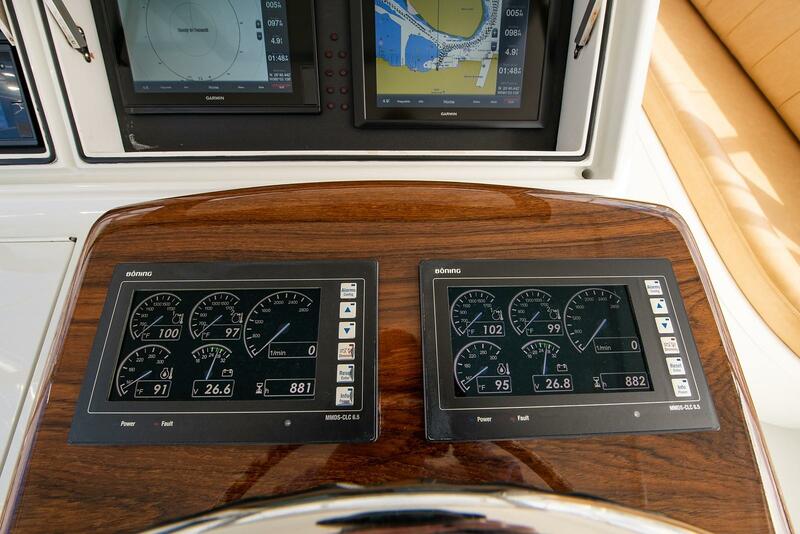 Her New V8 1200 MANs push "REHAB" easily at 30kts @ 1900 RPM only burning 82 GPH and a top end of 38.5 kts. 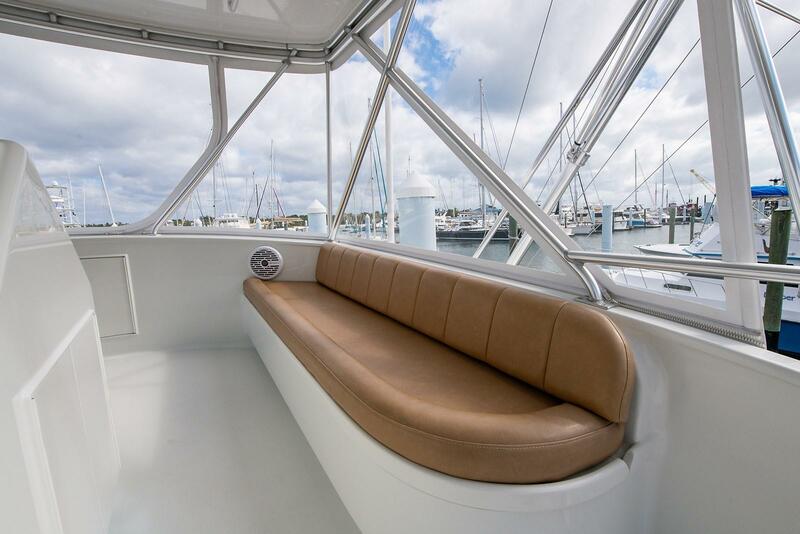 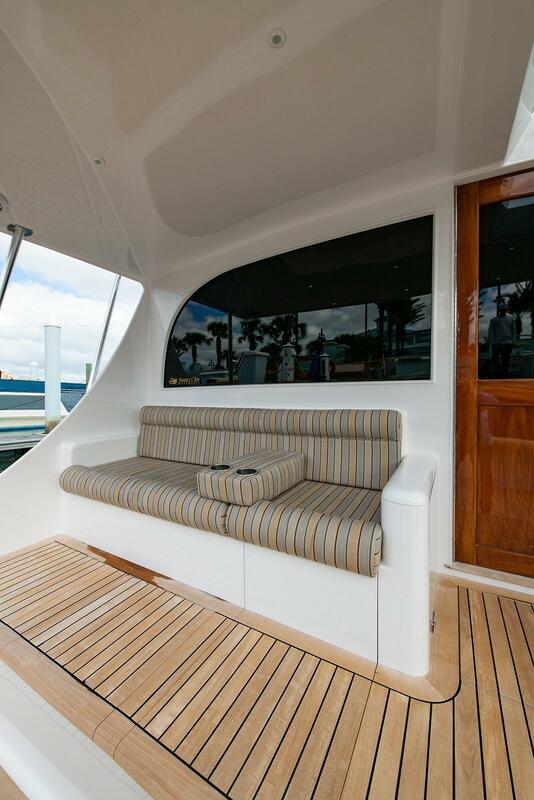 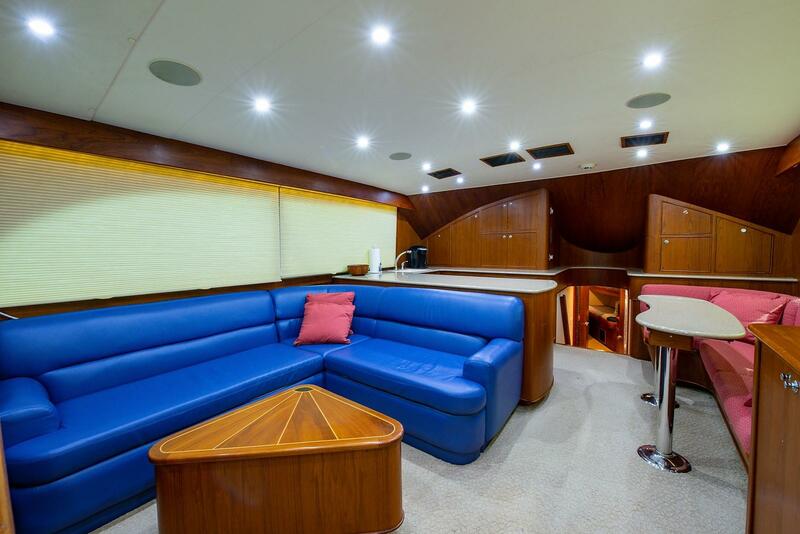 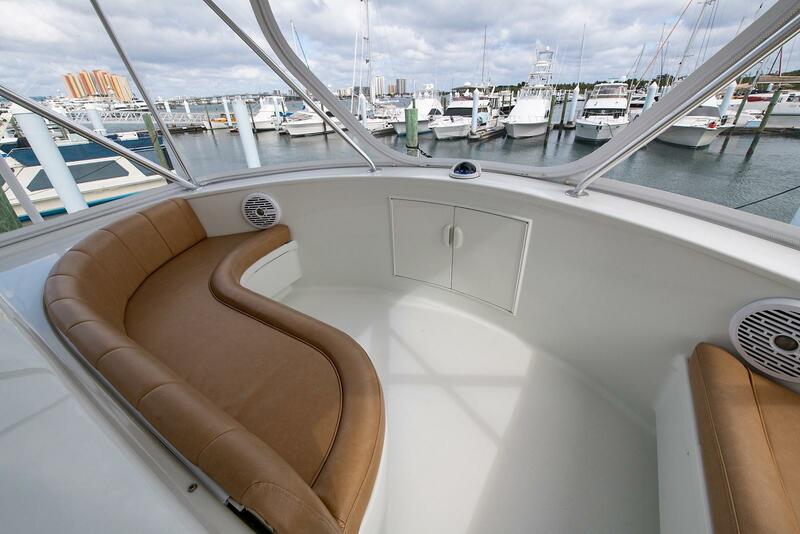 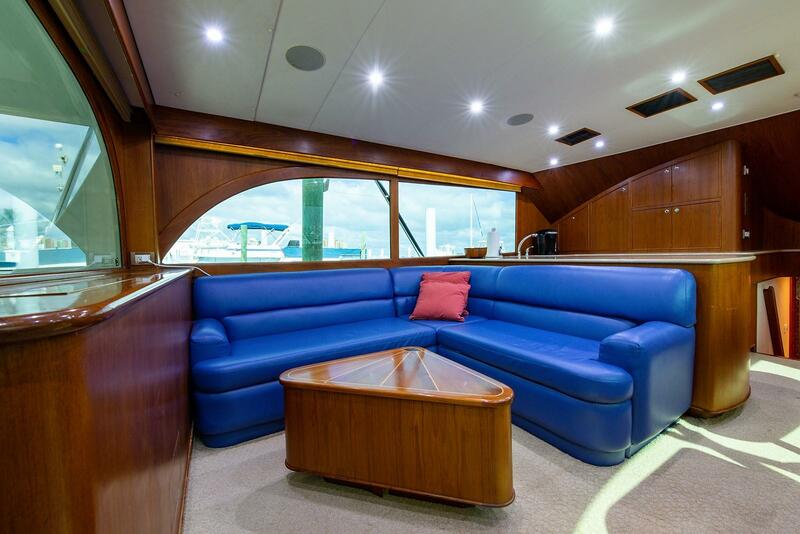 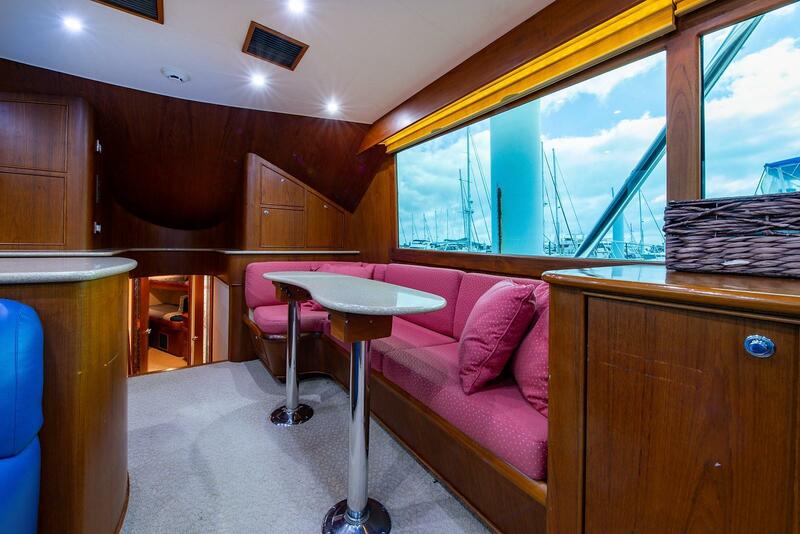 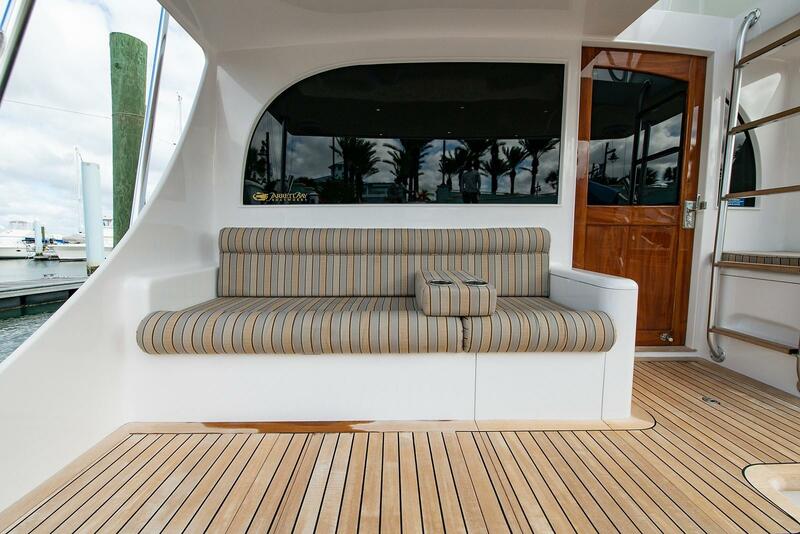 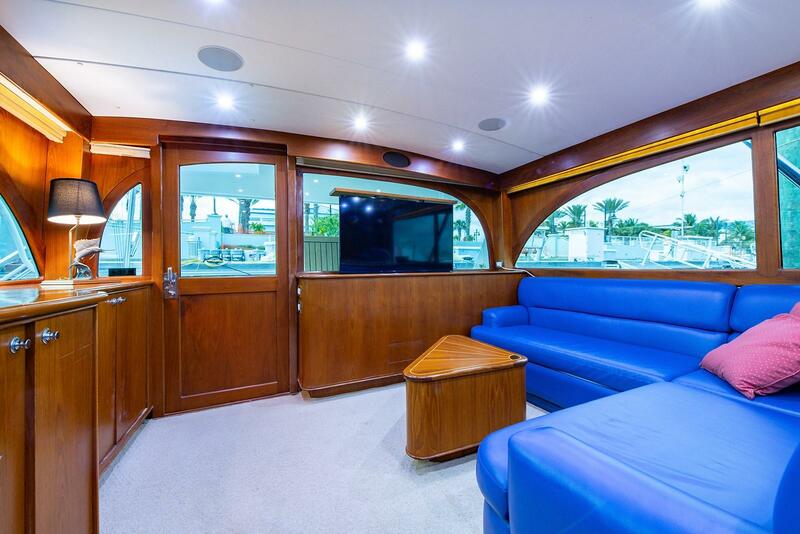 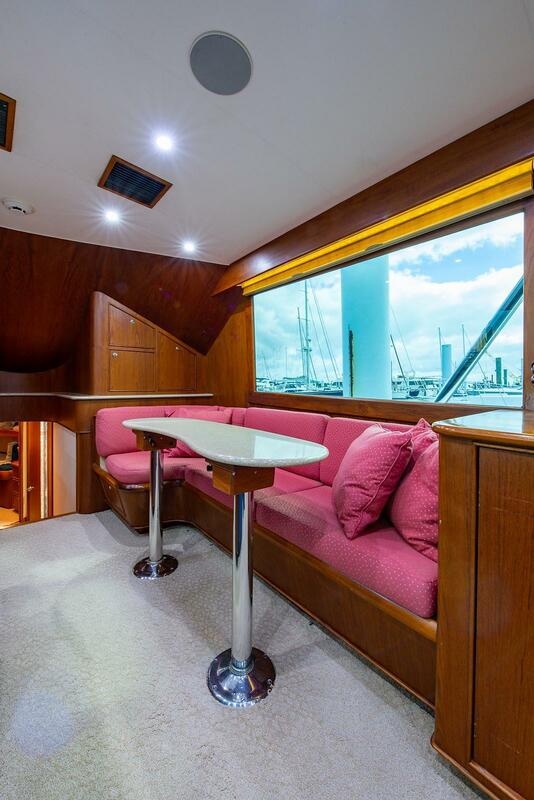 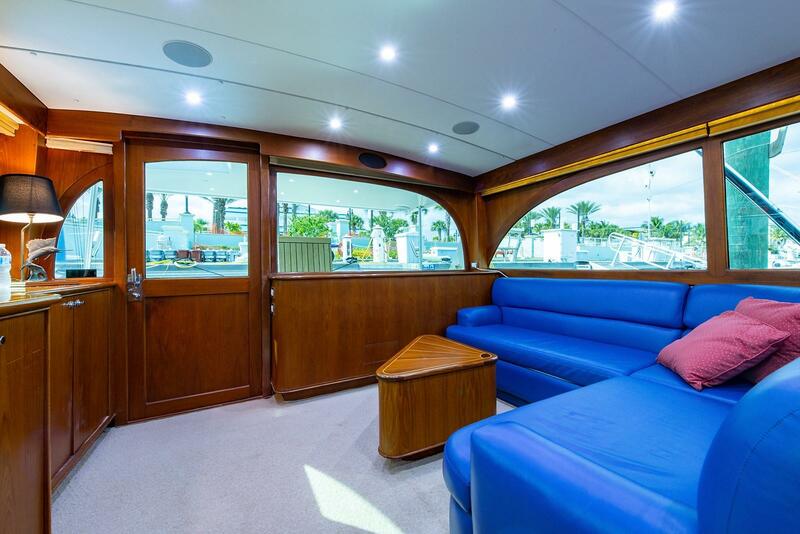 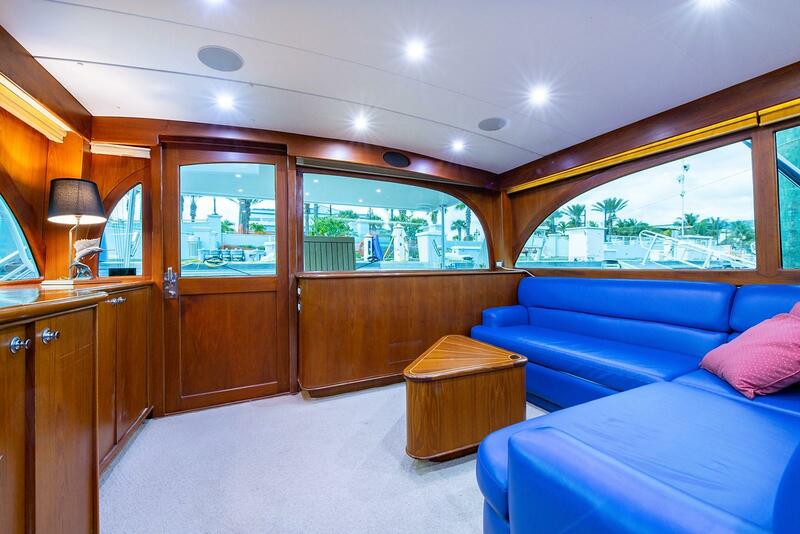 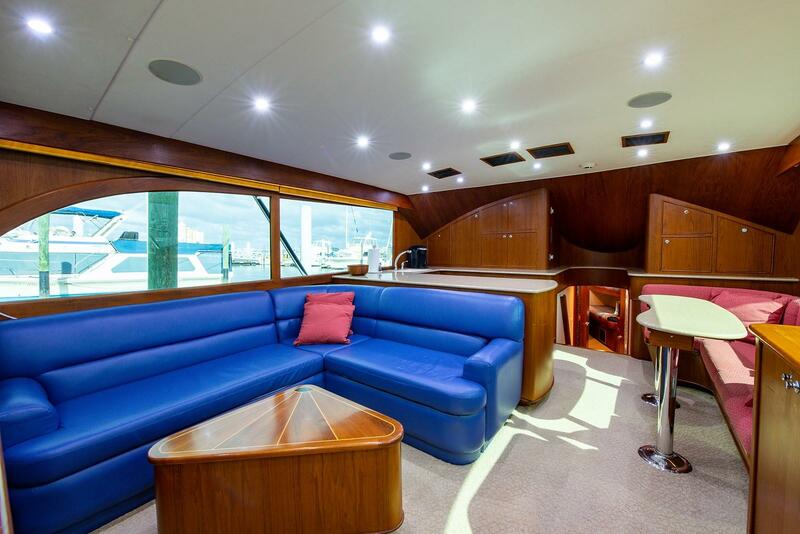 Salon features a large leather L-shaped sofa to port. 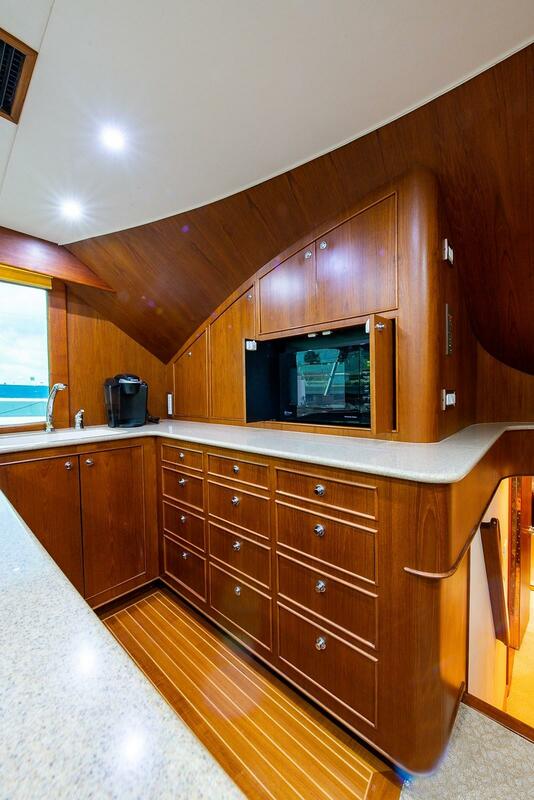 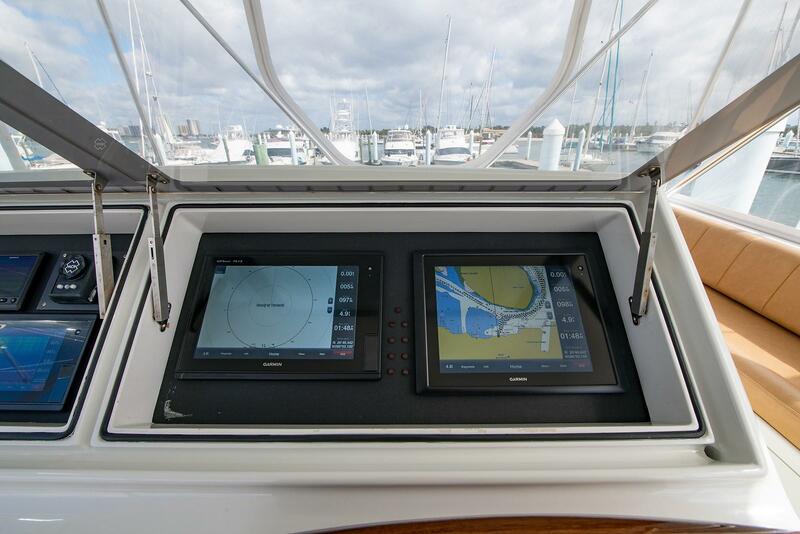 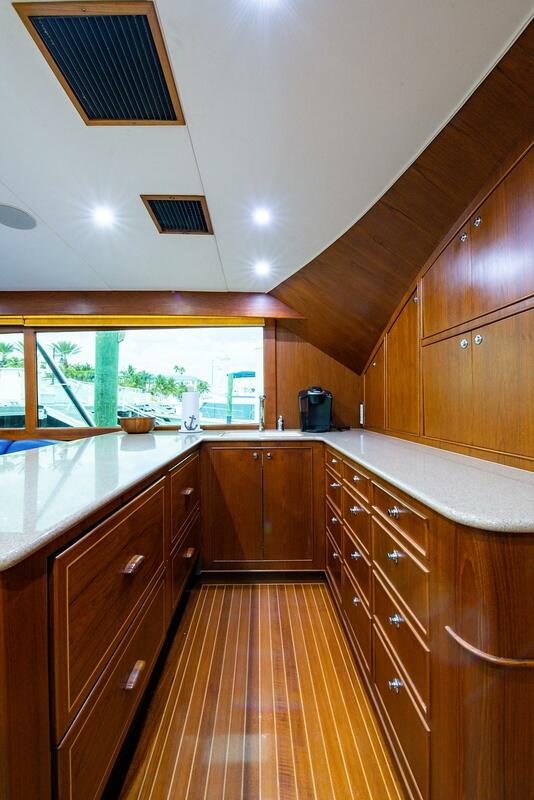 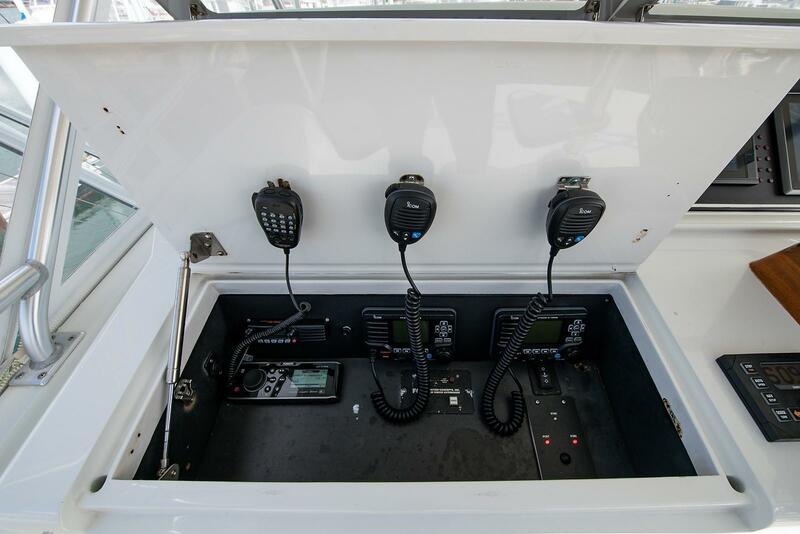 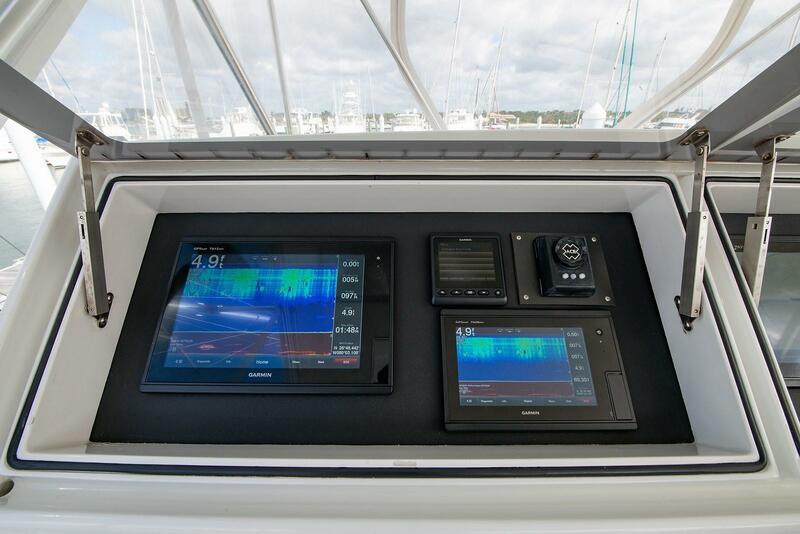 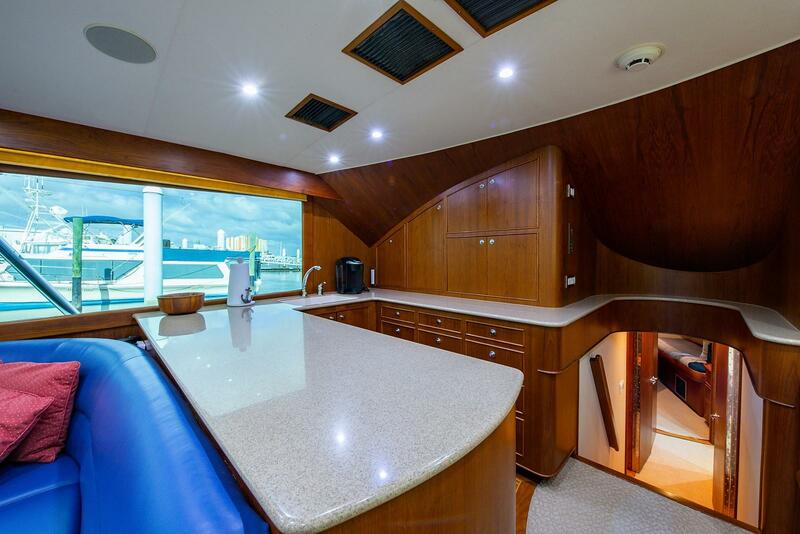 Counter and drawer storage on starboard side with access to the electrical panel. 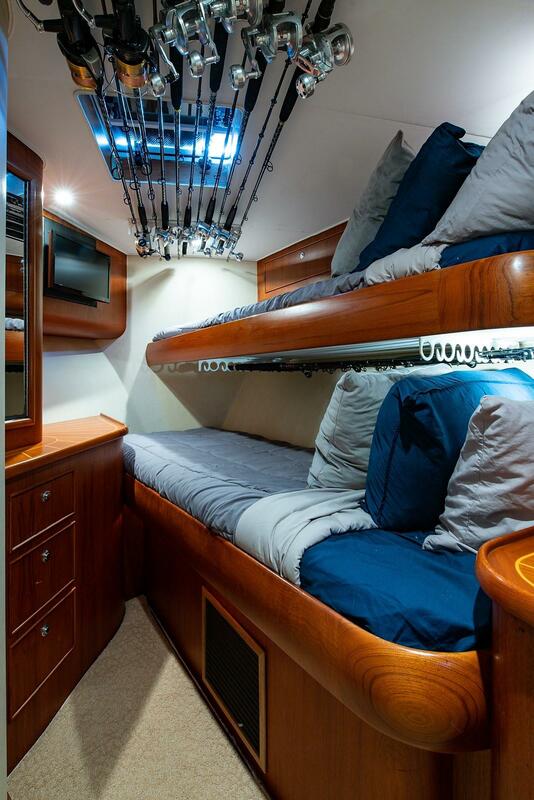 V-berth had over and under bunks in the forward stateroom. 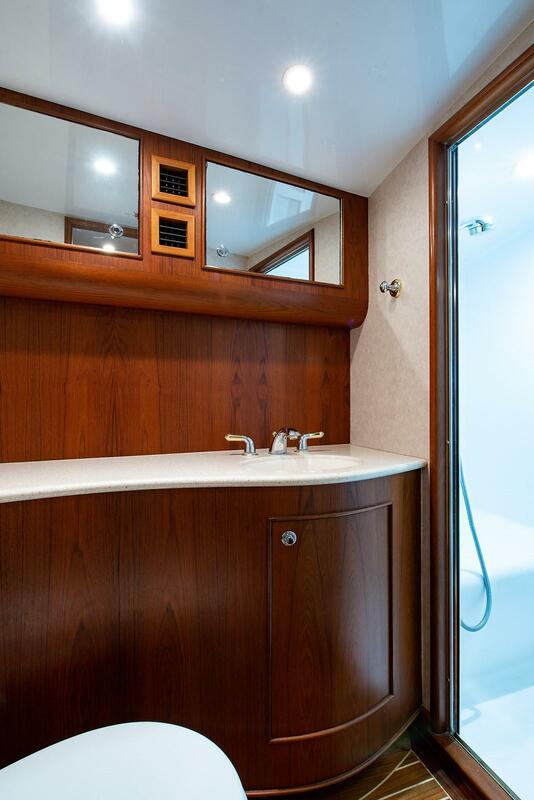 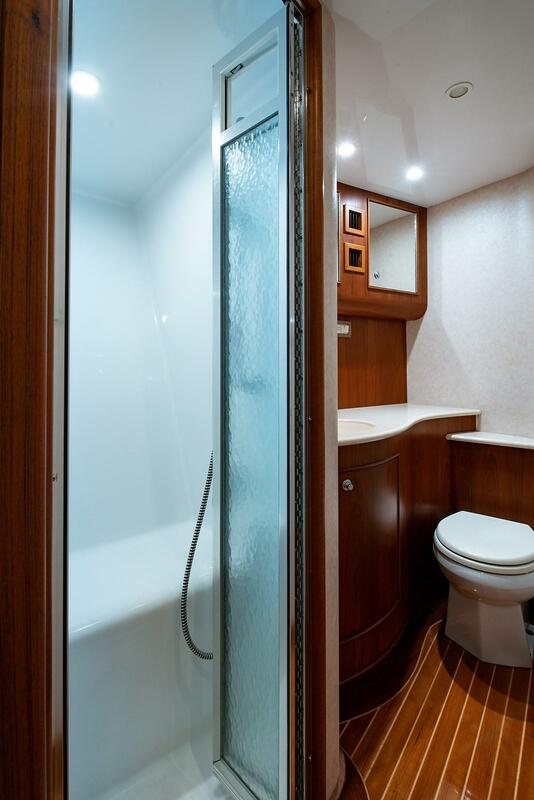 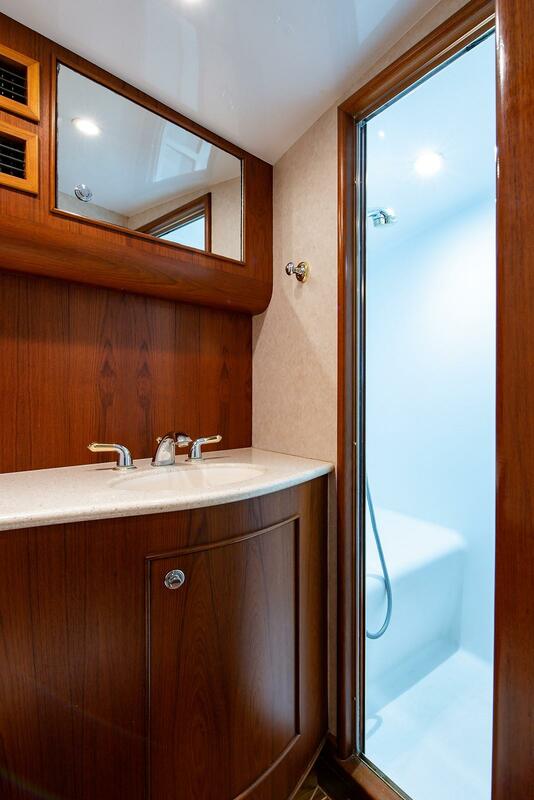 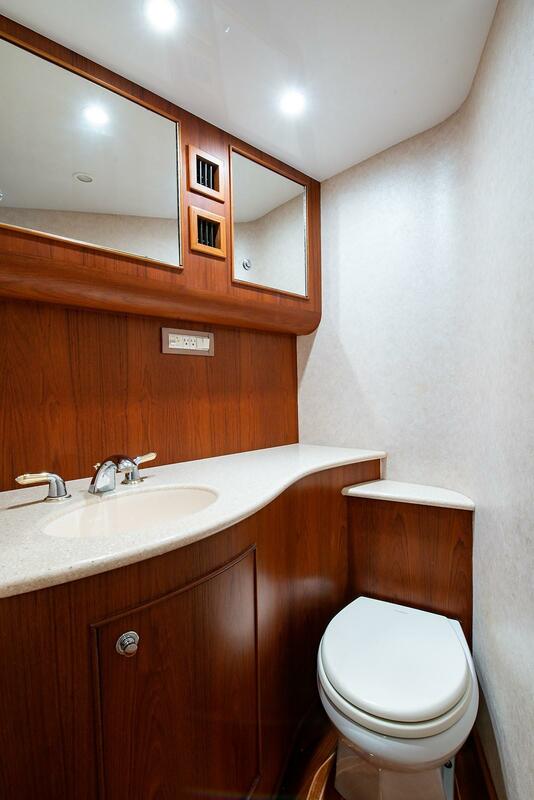 The master stateroom was amidship to port with an ensuite stall shower, with bi-fold door. 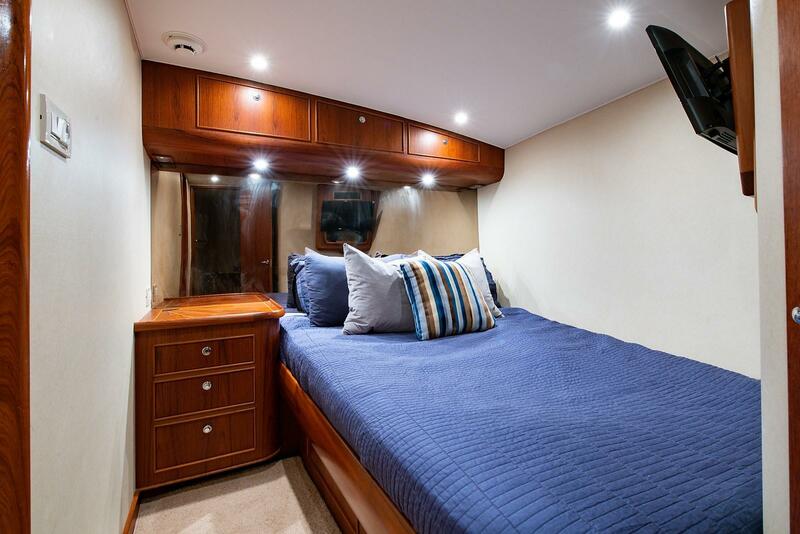 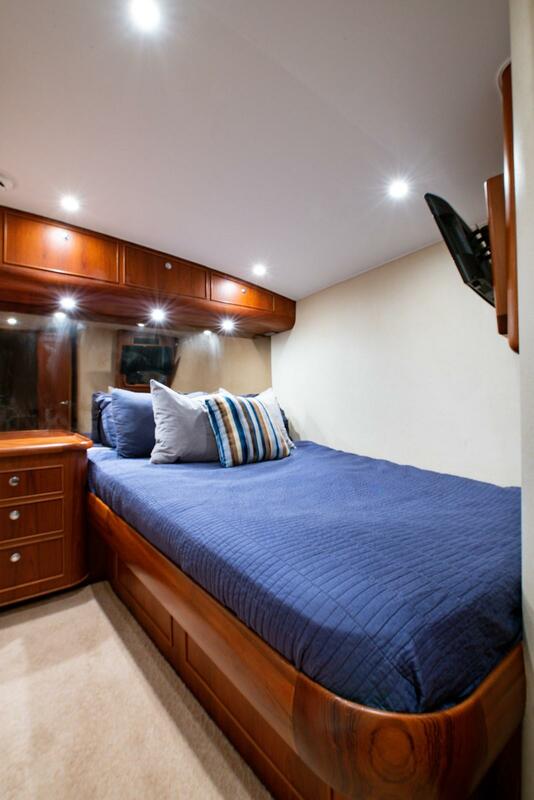 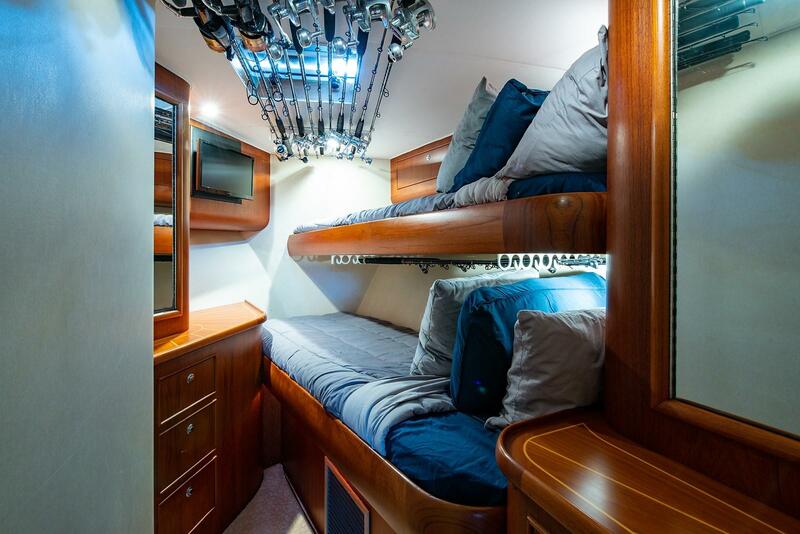 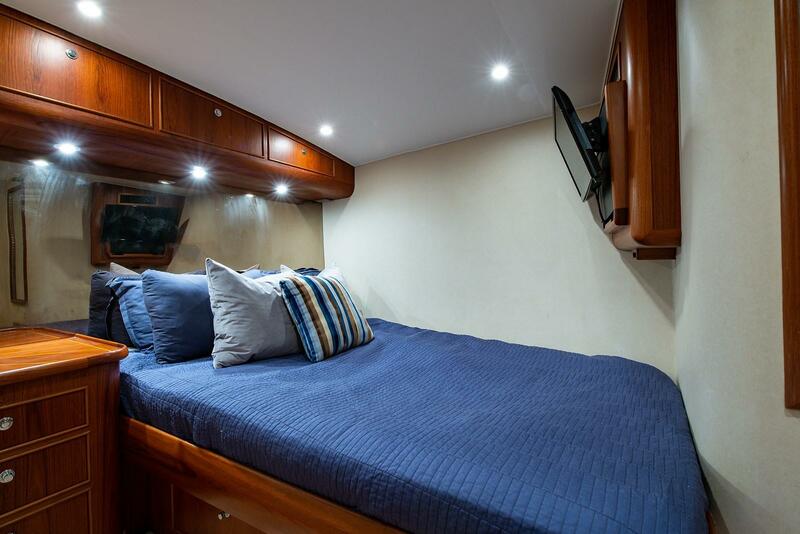 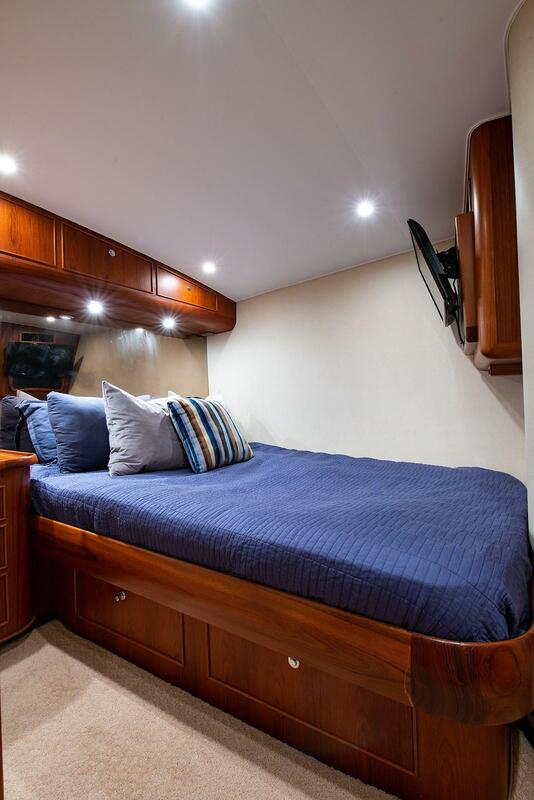 The queen sized berth was located on the hull side and has storage underneath. 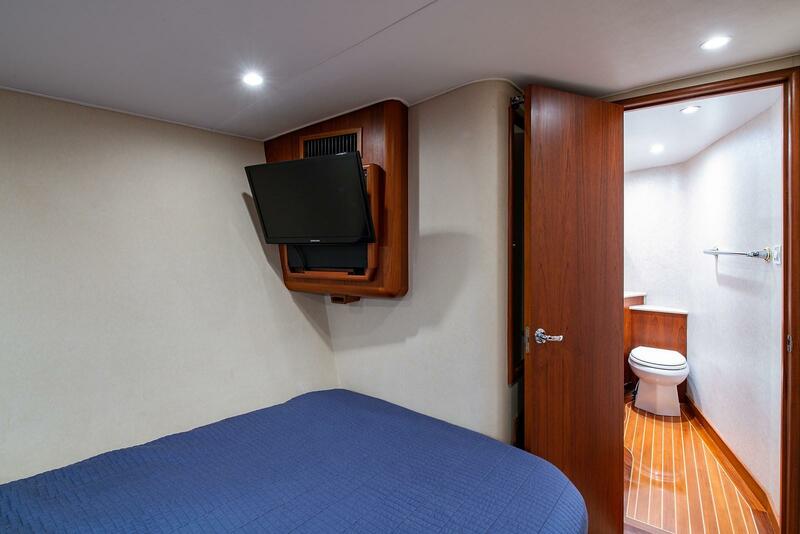 Entertainment was provided by a flat panel TV (2016). 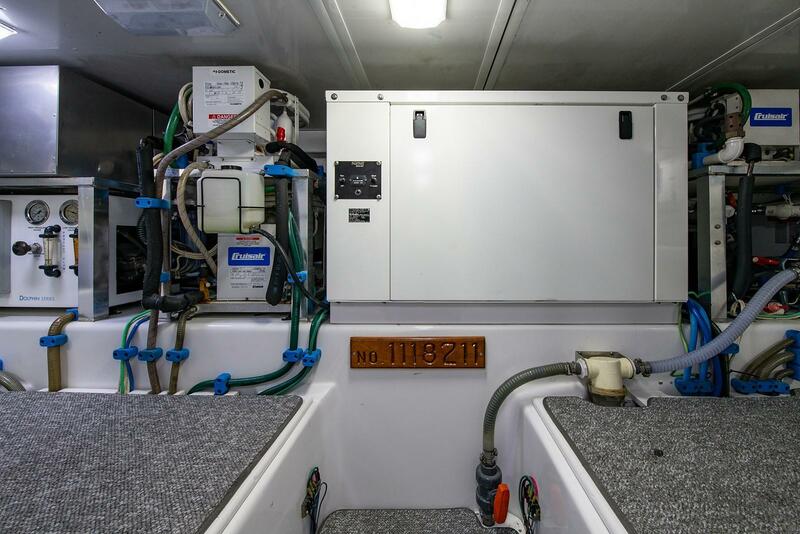 Voltage 12 volt, Optima Gel Cell battery system. 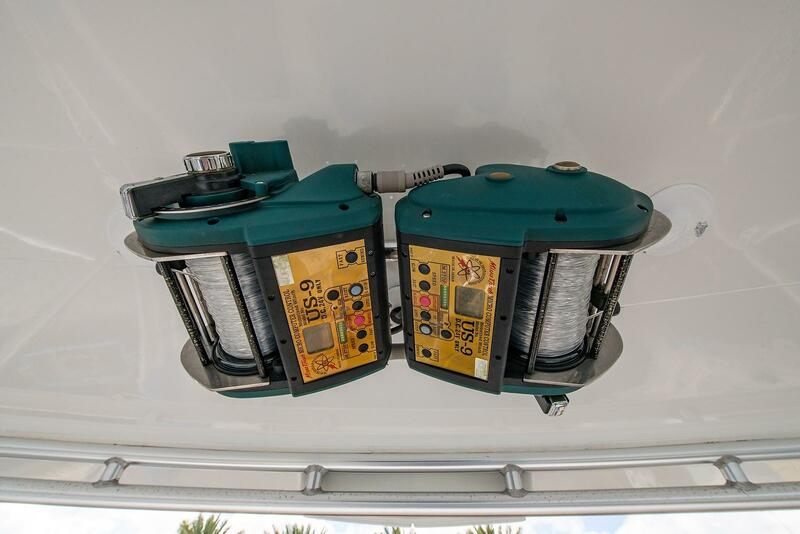 Shore Power Rating 50 Amps / 125 /240 Volt. 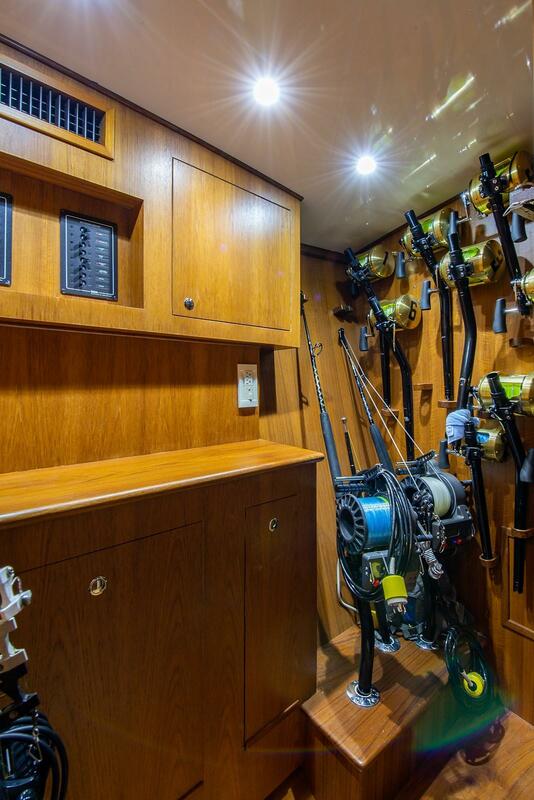 Owner's personal effects and fishing tackle.